i. GEOFFREY JOCELYN, b. Abt. 1091, Around Lincolnshire, England. ii. GILBERT JOCELYN, b. Abt. 1082, Semperingham, Lincolns., England; d. February 04, 1188/89. Gilbert, (St. Gilbert of Sempringham), the eldest son of Sir Gilbert, was born at Sempringham about 1082 and educated in France. He was physically deformed and thus not suitable to become a knight, so after his return he taught at a free school. He later became household clerk to Robert Blount, Bishop of Lincoln, and when that Bishop died, he stayed on at the court of his successor, Alexander. When his father died, he was presented with the parishes of Sempringham and Torrington, built on his father's land. Not being ordained he appointed a vicar but continued to lead a very strict 'monastic style' life, presenting most of the revenues to the poor. He was ordained a priest by Alexander and offered an archdeaconry but he refused the offer and returned to take over the parsonages of Sempringham and Torrington and also become Squire of the villages in 1132. He also established an order of nuns at Sempringham, the order continuing to grow such that he asked the Cistertians to take over the foundation. This they were unable to do but Gilbert was persuaded by Pope Euginius III to carry on by himself. The order grew to encompass some 1500 and became known as the Gilbertians, being the only medieval order of English origin and existing until the time of the dissolution, at which time there were some twenty-six monasteries.Gilbert himself became Master General of the order but resigned before his death due to loss of sight. He amazed others by his sparse living, particularly with regard to food, having at his table 'the plate of the poor' into which he put the best of his food for the benefit of the poor. He wore a hair shirt and took his rest by sitting in short spells, spending most of the night in prayer. He assisted the Archbishop of Canterbury to escape from his pursuers and also backed Thomas a Beckett but escaped sentence with a pardon. He died in 1189 aged 106 and was canonised by Pope Innocent III at Anagin in 1202. His relics were taken by Louis VIII to Toulouse and interred in the Church of St Sermin. The feast of St Gilbert is still celebrated on the anniversary of his death the 4th February. WILLIAM JOCELYN (GEOFFREY, SIR GILBERT, EGIDIUS JOSSELIN) He married OSWALDA GOUSHALL, daughter of SIR ROBERT GOUSHALL. ROBERT JOCELYN (WILLIAM, GEOFFREY, SIR GILBERT, EGIDIUS JOSSELIN) He married FLEMING. JAMES JOCELYN (ROBERT, WILLIAM, GEOFFREY, SIR GILBERT, EGIDIUS JOSSELIN) He married JANE THROCKINGHOLDEN, daughter of HENRY THROCKINGHOLDEN. HENRY JOCELYN (JAMES, ROBERT, WILLIAM, GEOFFREY, SIR GILBERT, EGIDIUS JOSSELIN) He married JANE CHASTELIN, daughter of WILLIAM CHASTELINand JOAN SULLIARD. RALPH JOCELYN (HENRY, JAMES, ROBERT, WILLIAM, GEOFFREY, SIR GILBERT, EGIDIUS JOSSELIN) He married BEATRICE. JOHN JOCELYN (RALPH, HENRY, JAMES, ROBERT, WILLIAM, GEOFFREY, SIR GILBERT, EGIDIUS JOSSELIN) He married KATHERINE BATTELL, daughter of SIR BATTELLand ELIZABETHDE ENFEILD. i. THOMAS JOCELYN, d. Aft. 1277. THOMAS JOCELYN (JOHN, RALPH, HENRY, JAMES, ROBERT, WILLIAM, GEOFFREY, SIR GILBERT, EGIDIUS JOSSELIN) died Aft. 1277. He married MAUD HIDE Abt. 1248, daughter of SIR HIDE and ELIZABETH SUDLEY. Maud Hide was the daughter and coheiress of Sir John Hyde of the Hyde, Sawbridgeworth, Herts. and Elisabeth (Sudley), dau. of John, Lord Sudley of Co. Gloucester. By this marriage, Hyde Hall passed into posession of the Josselyn family, which held it for almost 650 years. 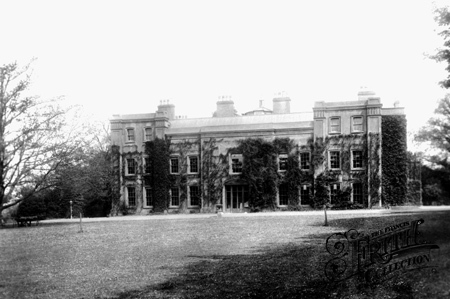 In 1897, Hyde Hall was inherited by Sophia, widow of the 5th Earl of Roden. i. THOMAS JOCELYN, b. Abt. 1249; d. Abt. 1284. THOMAS JOCELYN (THOMAS, JOHN, RALPH, HENRY, JAMES, ROBERT, WILLIAM, GEOFFREY, SIR GILBERT, EGIDIUS JOSSELIN) was born Abt. 1249, and died Abt. 1284. He married (1) ALICE LISTON Bef. 1273, daughter of WILLIAM LISTON. She died Aft. 1276. He married (2) JOAN BLOUNT Aft. 1276.
i. RALPH JOCELYN, b. December 13, 1275, Shellow-Bowels, Essex; Hyde Hall, Sawbridgeworth, Herts; d. Aft. 1312. RALPH JOCELYN (THOMAS, THOMAS, JOHN, RALPH, HENRY, JAMES, ROBERT, WILLIAM, GEOFFREY, SIR GILBERT, EGIDIUS JOSSELIN) was born December 13, 1275 in Shellow-Bowels, Essex; Hyde Hall, Sawbridgeworth, Herts, and died Aft. 1312. He married (1) MAUD SUTTON, daughter of SIR JOHN SUTTON. He married (2) ANNE SANDYS. Son of Thomas Jocelyn and Alice Liston, succeeded his brother ~1284, and inherited in 1297 after proving his age. In 1309 he was a commissioner to collect a tax in Herts. for the war in Scotland. i. JEFFREY JOCELYN, b. Abt. 1301, Hyde Hall, Sawbridgeworth, Herts., and Shellow-Bowels (or Shellow-Jocelyn), in Willing-Doe, Essex; d. Aft. 1360. JEFFREY JOCELYN (RALPH, THOMAS, THOMAS, JOHN, RALPH, HENRY, JAMES, ROBERT, WILLIAM, GEOFFREY, SIR GILBERT, EGIDIUS JOSSELIN) was born Abt. 1301 in Hyde Hall, Sawbridgeworth, Herts., and Shellow-Bowels (or Shellow-Jocelyn), in Willing-Doe, Essex, and died Aft. 1360. He married MARGARET ROKELL. Shellow-Jocelyn was leased in 1338 to Robert le Marshall of Northweld and came into possession of the Torrell family (called then Shellow-Torrell) but came again into the Jocelyn family by marriage (Henry Josselyn and Anne Torrel) ~1562. i. RALPH JOCELYN, b. Hyde Hall, Sawbridgeworth, Herts. ; d. Abt. 1383, Herts, England. RALPH JOCELYN (JEFFREY, RALPH, THOMAS, THOMAS, JOHN, RALPH, HENRY, JAMES, ROBERT, WILLIAM, GEOFFREY, SIR GILBERT, EGIDIUS JOSSELIN)was born in Hyde Hall, Sawbridgeworth, Herts., and died Abt. 1383 in Herts, England. He married MARGARET DE PATMER. Margaret de Patmer was the daughter and heiress or coheiress of John de Patmer, son of John and Sara de Patmer and grandson of Philip de Patmer, whose wife was heiress of John Bawde of Somerby, Lincolns. i. JEFFREY JOCELYN, b. Hyde Hall, Sawbridgeworth, Herts. ; d. 1425. JEFFREY JOCELYN (RALPH, JEFFREY, RALPH, THOMAS, THOMAS, JOHN, RALPH, HENRY, JAMES, ROBERT, WILLIAM, GEOFFREY, SIR GILBERT, EGIDIUSJOSSELIN) was born in Hyde Hall, Sawbridgeworth, Herts., and died 1425. He married (1) CATHERINE BRAY. He married (2) JOAN BERRIE. Notes for JEFFREY JOCELYN: In 1394 he was about to go into Ireland in the King's service with Thomas de Percy, steward of the King's household. i. JOHN JOSSELYN, d. Bef. August 1524, Essex. England. JOHN JOSSELYN (JEFFREY JOCELYN, RALPH, JEFFREY, RALPH, THOMAS, THOMAS, JOHN, RALPH, HENRY, JAMES, ROBERT, WILLIAM, GEOFFREY, SIR GILBERT, EGIDIUS JOSSELIN) died Bef. August 1524 in Essex. England. He married ANNE. i. RALPH JOSSELYN, b. Abt. 1475; d. Aft. May 1525. RALPH JOSSELYN (JOHN, JEFFREY JOCELYN, RALPH, JEFFREY, RALPH, THOMAS, THOMAS, JOHN, RALPH, HENRY, JAMES, ROBERT, WILLIAM, GEOFFREY, SIR GILBERT, EGIDIUSJOSSELIN) was born Abt. 1475, and died Aft. May 1525. He married ELIZABETH CORNISH Abt. 1498. She was born Abt. 1480, and died Aft. 1546.
i. RALPH JOSSELYN, b. Abt. 1503; d. Bef. 1546. RALPH JOSSELYN (RALPH, JOHN, JEFFREY JOCELYN, RALPH, JEFFREY, RALPH, THOMAS, THOMAS, JOHN, RALPH, HENRY, JAMES, ROBERT, WILLIAM, GEOFFREY, SIR GILBERT, EGIDIUS JOSSELIN) was born Abt. 1503, and died Bef. 1546.
i. SIMON JOSSELYN, b. Abt. 1523; d. Abt. 1578.
ii. JOHN JOSSELYN, b. Abt. 1525; d. February 1578/79, Essex, England. iii. AGNES JOSSELYN, b. Abt. 1527. JOHN JOSSELYN (RALPH, RALPH, JOHN, JEFFREY JOCELYN, RALPH, JEFFREY, RALPH, THOMAS, THOMAS, JOHN, RALPH, HENRY, JAMES, ROBERT, WILLIAM, GEOFFREY, SIR GILBERT, EGIDIUS JOSSELIN)was born Abt. 1525, and died February 1578/79 in Essex, England. He married ALICE January 15, 1544/45 in Fyfield, Essex, England. i. HELENORA JOSSELYN, b. February 1545/46. ii. THOMAS JOSSELYN, b. Abt. 1548.
iii. ALICE JOSSELYN, b. January 13, 1549/50. iv. RICHARD JOSSELYN, b. Abt. 1552.
v. JOHN JOSSELYN, b. Abt. 1554.
vi. RALPH JOSSELYN, b. Abt. 1556, Chignal-Smealy, Essex, England; d. March 1631/32. vii. 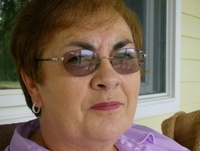 JOAN JOSSELYN, b. Abt. 1558.
viii. ELIZABETH JOSSELYN, b. Abt. 1559.
ix. SIMON JOSSELYN, b. October 12, 1561.
x. JOHN JOSSELYN, b. November 27, 1563.
xi. PHILLIPPA JOSSELYN, b. August 21, 1566. RALPH JOSSELYN (JOHN, RALPH, RALPH, JOHN, JEFFREY JOCELYN, RALPH, JEFFREY, RALPH, THOMAS, THOMAS, JOHN, RALPH, HENRY, JAMES, ROBERT, WILLIAM, GEOFFREY, SIR GILBERT, EGIDIUS JOSSELIN) was born Abt. 1556 in Chignal-Smealy, Essex, England, and died March 1631/32. He married (2) DOROTHY. He married (3) MARY BRIGHT May 21, 1583 in Roxwell, Essex, England. i. JOHN JOSSELYN, b. Abt. 1584; d. October 28, 1635.
ii. MARY JOSSELYN, b. September 04, 1586.
iii. AGNES JOSSELYN, b. August 25, 1588.
iv. RALPH JOSSELYN, b. July 08, 1590.
v. THOMAS JOSSELYN, b. Abt. 1592, Roxwell, Essex, England; d. January 03, 1660/61, Lancaster, Middlesex County, Massachusetts. vi. SIMON JOSSELYN, b. Abt. 1594.
vii. DOROTHY JOSSELYN, b. Abt. 1596.
viii. RICHARD JOSSELYN, b. Abt. 1598.
ix. JOSEPH JOSSELYN, b. June 06, 1600.
x. NATHANIEL JOSSELYN, b. September 29, 1602.
xi. ELIZABETH JOSSELYN, b. September 23, 1604. THOMAS JOSSELYN (RALPH, JOHN, RALPH, RALPH, JOHN, JEFFREY JOCELYN, RALPH, JEFFREY, RALPH, THOMAS, THOMAS, JOHN, RALPH, HENRY, JAMES, ROBERT, WILLIAM, GEOFFREY, SIR GILBERT, EGIDIUS JOSSELIN)was born Abt. 1592 in Roxwell, Essex, England, and died January 03, 1660/61 in Lancaster, Middlesex County, Massachusetts. He married REBECCA JUDE. She was born Abt. 1592.
i. ABRAHAM JOSSELYN, b. Abt. 1615; d. Abt. 1669, Virginia. ii. REBECCA JOSSELYN, b. March 27, 1617.
iii. MARY JOSSELYN, b. August 25, 1619.
iv. DOROTHY JOSSELYN, b. Abt. 1624; d. December 02, 1645.
v. NATHANIEL JOSSELYN, b. Abt. 1627.
vi. ELIZABETH JOSSELYN, b. Abt. 1629.
vii. MARY JOSSELYN, b. March 16, 1633/34. ABRAHAM JOSSELYN (THOMAS, RALPH, JOHN, RALPH, RALPH, JOHN, JEFFREY JOCELYN, RALPH, JEFFREY, RALPH, THOMAS, THOMAS, JOHN, RALPH, HENRY, JAMES, ROBERT, WILLIAM, GEOFFREY, SIR GILBERT, EGIDIUS JOSSELIN) was born Abt. 1615, Englnd, and died Abt. 1669 in Virginia. He was a mariner. He married BEATRICE HAMPSON November 19, 1642 in London, England, daughter of PHILLIP HAMPSON and JANE. She was born July 15, 1627, and died January 11, 1711/12. Abraham Josselyn did not come to New England with his father in 1635, but immigrated before March 1644. It is a possibility that he perhaps was left by his father at school and decided to follow in a few years. From the diary of Rev. Ralph Josselin, Vicar of Earl's Colne, County Essex, March 1644/5: My Cousin Abraham Josselin came to us from New England, about by ye Canaryes, after a sad long jorney & one tedious fight with a Kings pyratt: heard by him of ye wellfare of ye plantacon for which God bee praised; this summer N. E. had divers losses at sea, and scarce any before: wee rid to my Cousin Bentons.5 Hingham, Plymouth County, Massachusetts in 1647. At the time that his father moved from Hingham to Lancaster, in about 1652, Abraham and his family moved to Black Point (now Scarborough), Maine.8 Henry Josselyn (1606-1683), a sixth cousin of Abraham, had settled at Black Point. Elizabeth French, in her Josselyn genealogy, wrote: It . . . seems probable that, having no children of his own to inherit his property, Henry Josselyn induced his kinsman Thomas to send to him his eldest son Abraham, intending to make him his heir. Abraham certainly went to Scarborough, Me., and lived there for seven years. Whether he quarrelled with his kinsman or tired of the wilderness is not clear, but he returned to his relatives in Lancaster. He died several years before his kinsman Henry, and it is not known what disposition was made of the property of the latter. About 1659 Abraham sold his property at Black Point and moved to Boston about 1660.He was in Lancaster, Worcester County, Massachusetts before 1663.7 Lancaster was his residence for the rest of his life. i. ABRAHAM JOSLIN, b. May 08, 1649.
ii. PHILLIP JOSLIN, b. December 15, 1650.
iii. HENRY JOSLIN, b. Abt. 1652.
iv. REBECCA JOSLIN, b. Abt. 1655.
v. THOMAS JOSLIN, b. June 21, 1658, Scarborough, Cumberland County, Maine; d. 1722, South Kingston, Wsshington County, Rhode Island. vi. NATHANIEL JOSLIN, b. July 04, 1660.
vii. JOSEPH JOSLIN, b. July 16, 1664.
viii. MARY JOSLIN, b. December 14, 1666. THOMAS JOSLIN (ABRAHAM JOSSELYN, THOMAS, RALPH, JOHN, RALPH, RALPH, JOHN, JEFFREY JOCELYN, RALPH, JEFFREY, RALPH, THOMAS, THOMAS, JOHN, RALPH, HENRY, JAMES, ROBERT, WILLIAM, GEOFFREY, SIR GILBERT, EGIDIUS JOSSELIN) was born June 21, 1658 in Scarborough, Cumberland County, Maine, and died 1722 in South Kingston, Washington County, Rhode Island. He married MARY VAUGHN December 14, 1681 in Rhode Island. She was born May 03, 1658 in Newport, Newport County, Rhode Island, and died 1698 in Deerfield Township, Kingston, Washington County, Rhode Island. i. THOMAS JOSLIN, b. Abt. 1684.
ii. SAMUEL JOSLIN, b. Abt. 1686.
iii. KEIZAH JOSLIN, b. Abt. 1690.
iv. LINDSAY JOSLIN, b. Abt. 1692.
v. KEIZAH JOSLIN, b. Abt. 1696.
vi. WILLIAM JOSLIN, b. 1701, Kingston, Washington County, Rhode Island; d. Abt. 1771, Deerfield Township, Kingston, Washington County, Rhode Island. WILLIAM JOSLIN (THOMAS, ABRAHAM JOSSELYN, THOMAS, RALPH, JOHN, RALPH, RALPH, JOHN, JEFFREY JOCELYN, RALPH, JEFFREY, RALPH, THOMAS, THOMAS, JOHN, RALPH, HENRY, JAMES, ROBERT, WILLIAM, GEOFFREY, SIR GILBERT, EGIDIUS JOSSELIN) was born 1701 in Kingston, Washington County, Rhode Island, and died Abt. 1771 in Deerfield Township, Kingston, Washington County, Rhode Island. He married MARY. i. JOHN J. JOSLIN, b. Abt. 1733, New Jersey; d. June 29, 1794, Standford, Lincoln County, Kentucky. JOHN J. JOSLIN (WILLIAM, THOMAS, ABRAHAM JOSSELYN, THOMAS, RALPH, JOHN, RALPH, RALPH, JOHN, JEFFREY JOCELYN, RALPH, JEFFREY, RALPH, THOMAS, THOMAS, JOHN, RALPH, HENRY, JAMES, ROBERT, WILLIAM, GEOFFREY, SIR GILBERT, EGIDIUS JOSSELIN) was born Abt. 1733 in Deerfield, Cumberland County, New Jersey , and died June 29, 1794 in Standford, Lincoln County, Kentucky. He married DINAH EVANS Abt. 1753 in Nijer, Amherst County, Virginia. She was born Abt. 1737 in Virginia, and died Bef. 1793 in Standford, Lincoln County, Kentucky. Notes for JOHN JOSLIN: He served as a Corporal in Morgan's Rifleman, and in the 6th Virginia Battalion, Continental Line Army in the Revolutionary War. He is recognized in the DAR Patriot Index for service as a Corporal from Virginia. i. SAMUEL JOSLIN, b. Abt. 1756, Nijer, Amherst County, Virginia. ii. JAMES JOSLIN, b. 1757, Nijer, Amherst County, Virginia; d. Bef. 1793, Lincoln County, Kentucky; m. REBECCA ELIZABETH, 1783, Nijer, Amherst County, Virginia. iii. WILLIAM J. JOSLIN, b. 1759, Nijer, Amherst County, Virginia; d. 1807, Hamilton County, Tennessee; m. SALLY PROFITT; b. 1766, Amherst County, Virginia; d. 1866, Tennessee. iv. BENJAMIN JOSLIN, b. Abt. 1760, Nijer, Amherst County, Virginia; d. November 03, 1834, Gibson County, Tennessee; m. MARY GATEWOOD, November 10, 1783, Amherst County, Virginia; b. Abt. 1763, Spotsylvania County, Virginia; d. Abt. 1826, Davidson County, Tennessee. v. JOHN JOSLIN, b. Abt. 1761, Nijer, Amherst County, Virginia; d. October 05, 1818, Casey County, Kentucky; m. CATHERINE, Bef. 1775, Amherst County, Virginia; b. Virginia; d. Bef. 1860, Casey County, Kentucky. vi. NANCY JOSLIN, b. June 22, 1770, Nijer, Amherst County, Virginia; d. Aft. 1800, Davidson County, Tennessee; m. WILLIAM EVANS. vii. ELIZABETH JOSLIN, b. 1770, Nijer, Amherst County, Virginia; d. Aft. 1802, Lincoln County, Kentucky; m. (1) HUGH MCCORMACK, April 05, 1788, Stanford, Lincoln County, Kentucky; b. Kentucky; d. Kentucky; m. (2) JESSE EVANS, June 1793, Lincoln County, Kentucky; b. Kentucky; d. Kentucky; m. (3) JAMES MILLER, February 06, 1797, Stanford, Lincoln County, Kentucky; b. Kentucky; d. Kentucky. ix. SARAH JOSLIN, b. Bef. 1776, Amherst County, Virginia; d. Aft. 1810, Kentucky; m. JOHN WHITTLE, Amherst County, Virginia. WILLIAM J. JOSLIN (JOHN, WILLIAM, THOMAS, ABRAHAM JOSSELYN, THOMAS, RALPH, JOHN, RALPH, RALPH, JOHN, JEFFREY JOCELYN, RALPH, JEFFREY, RALPH, THOMAS, THOMAS, JOHN, RALPH, HENRY, JAMES, ROBERT, WILLIAM, GEOFFREY, SIR GILBERT, EGIDIUS JOSSELIN) was born 1759 in Nijer, Amherst County, Virginia, and died 1807 in Hamilton County, Tennessee. He married SALLY PROFITT, daughter of DAVID PROFITT and ELIZABETH SMITH. She was born 1766 in Amherst County, Virginia, and died 1866 in Tennessee. ii. DANIEL JOSLIN, b. 1781. Married NANCY PEAL May 9, 1821 in Davidson County, Tennessee. vi. DINAH JOSLIN, b. 1801, Dickerson County, Tennessee; d. Abt. 1855, Dickerson County, Tennessee; m. CALEB H. ROOKER, May 15, 1818, Davidson County, Tennessee; b. January 24, 1797, Walsall, Staffordshire, England; d. Bonham, Fannin County, Texas. vii. JOHN JOSLIN, b. Abt. 1804, Virginia; d. Aft. 1841, Cadron Township, Conway County, Arkansas. BENJAMIN JOSLIN (JOHN, WILLIAM, THOMAS, ABRAHAM JOSSELYN, THOMAS, RALPH, JOHN, RALPH, RALPH, JOHN, JEFFREY JOCELYN, RALPH, JEFFREY, RALPH, THOMAS, THOMAS, JOHN, RALPH, HENRY, JAMES, ROBERT, WILLIAM, GEOFFREY, SIR GILBERT, EGIDIUS JOSSELIN), b. Abt. 1760, Nijer, Amherst County, Virginia; d. November 03, 1834, Gibson County, Tennessee. He married MARY GATEWOOD November 10, 1783 in Amherst County, Virginia. She was born Abt. 1763 in Spotsylvania County, Virginia; died Abt. 1826 in Davidson County, Tennessee. She was the daughter of RICHARD GATEWOOD and ELIZABETH FOSTER. i. LEWIS JOSLIN, born Abt. 1785 in Hodges, Davidson County, Tennessee; died Abt. 1855 in Davidson County, Tennessee; married (1) CATHERINE ROSS; married (2) DELIA MCKINLEY CRAWFORD August 30, 1817 in Rutherford County, Tennessee; born Abt. 1800 in North Carolina. ii. JOHN JOSLIN, born Abt. 1789 in Davidson County, Tennessee; died May 01, 1850 in Lafayette County, Mississippi; married REBECCA HENDRICKS November 23, 1809 in South Carolina; born in South Carolina; died March 15, 1857 in Texas. iii. ELIZABETH JOSLIN, born Abt. 1789 in Davidson County, Tennessee; died Aft. 1850 in Dickson County, Tennessee; married Col. CHRISTOPHER ROBERTSON April 28, 1809 in Davidson County, Tennessee; born Abt. 1785; died January 28, 1836 in Dickson County, Tennessee. iv. WILLIAM "WILLIS" JOSLIN, born Abt. 1784; died 1846 in Gibson County, Tennessee; married SARAH DOUGLAS November 14, 1809 in Davidson County, Tennessee. v. RICHARD JOSLIN, born Abt. 1791 in Davidson County, Tennessee; died Abt. 1829 in Davidson County, Tennessee; married MARY "POLLY" S. BECTON, March 04, 1816 in Davidson County, Tennessee; born Abt. 1795.
vi. LAVINIA LOUISA JOSLIN, born Abt. 1799 in Davidson County, Tennessee; died Abt. 1865 in Fannin County, Texas; married JAMES W. CHRISTIAN February 24, 1816 in Davidson County, Tennessee; born Abt. 1790 in North Carloina; died Abt. 1865 in Fannin County, Texas. vii. DINAH JOSLIN, born Abt. 1801 in Davidson County, Tennessee; died Abt. 1855 in Dickson County, Tennessee; married Rev. L. D. CALEB H. N. ROOKER May 15, 1818 in Davidson County, Tennessee. Benjamin and Mary moved from Amherst County, Virginia, to Kentucky, and then on to Tennessee, Davidson County in 1785. They lived in Baldwin Fort with their family. The women folk would melt pewter, spoons, plates, and basins to make bullets as Indian attacks on and around the fort were a regular occurance. Benjamin had an alarm gun that he would shoot to alarm the other nearby forts if Indians were about. The gun could be heard for about 12 miles away. There were a great many, brave pioneers that were killed by savages that were buried at Fletchers Lick, where Benjamin Joslin had his fort. Benjamin and Mary's children were born in Francis Hodges station within 5 miles of Nashville. GABERIEL JOSLIN (WILLIAM, JOHN, WILLIAM, THOMAS, ABRAHAM JOSSELYN, THOMAS, RALPH, JOHN, RALPH, RALPH, JOHN, JEFFREY JOCELYN, RALPH, JEFFREY, RALPH, THOMAS, THOMAS, JOHN, RALPH, HENRY, JAMES, ROBERT, WILLIAM, GEOFFREY, SIR GILBERT, EGIDIUS JOSSELIN) was born 1783 in Georgia, and died November 1858 in Dickerson County, Tennessee. He married ELIZABETH HOOPER December 18, 1801. She was born in Tennessee, and died in Dickerson County, Tennessee. i. WILLIAM BENTON JOSLIN, b. Tennessee; d. September 1850, Dickerson County, Tennessee. ii. ALBERT B. JOSLIN, b. 1818, Dickerson County, Tennessee; d. Tennessee. iii. THOMAS JOSLIN, b. Dickerson County, Tennessee; d. Tennessee. iv. ELIZABETH R. JOSLIN, b. 1824, Dickerson County, Tennessee. HENDERSON W. JOSLIN (WILLIAM, JOHN, WILLIAM, THOMAS, ABRAHAM JOSSELYN, THOMAS, RALPH, JOHN, RALPH, RALPH, JOHN, JEFFREY JOCELYN, RALPH, JEFFREY, RALPH, THOMAS, THOMAS, JOHN, RALPH, HENRY, JAMES, ROBERT, WILLIAM, GEOFFREY, SIR GILBERT, EGIDIUS JOSSELIN) was born Bef. 1807 in Tennessee, and died 1841 in Dickerson County, Tennessee. He married MARTHA ELIZABETH. She was born 1819 in Tennessee, and died in Dickerson County, Tennessee. i. GABRIEL JOSLIN, b. 1834, Dickerson County, Tennessee; d. Tennessee; m. CHARLOTTE T. PENTECOST, February 21, 1856, Dickerson County, Tennessee; b. Tennessee; d. Tennessee. ii. ELIZABETH JOSLIN, b. Abt. 1836, Tennessee. iii. MARTHA JOSLIN, b. 1837, Tennessee. iv. HENDERSON W. JOSLIN, b. 1839, Tennessee. SAMUEL B. JOSLIN (WILLIAM J. JOHN, WILLIAM, THOMAS, ABRAHAM JOSSELYN, THOMAS, RALPH, JOHN, RALPH, RALPH, JOHN, JEFFREY JOCELYN, RALPH, JEFFREY, RALPH, THOMAS, THOMAS, JOHN, RALPH, HENRY, JAMES, ROBERT, WILLIAM, GEOFFREY, SIR GILBERT, EGIDIUS JOSSELIN) was born 1809 in Tennessee, and died 1880 in Carroll, Arkansas. He married ELMIRA HURST 1837 in Mississippi, daughter of CHARLES HURST and ELIZABETH. She was born 1821 in Choctaw, Alabama, and died February 1870 in Faulkner County, Arkansas. 1850 Census - Choctaw County, Mississippi lists Samuel Joslin (44) farmer living with wife Elmira (29) and children: Henry (12), Daniel (10), Polina (9), Samuel (5) and Solina (2). Real estate value listed at $200. 1860 Census - Family found living in Muddy Bayou, Conway, Arkansas. Post office: Cane Creek. Living in the home were: Samuel (50), Elmira (40), Samuel (13), Salina (11), John (9), Charles 6) and Elvira (9). 1870 Census - Reeds Creek Township, Smithville, Lawrence County, Arkansas shows Samuel Joslin (62) farmer. Value of real estate $450. Value of personal property $200. Also living in the hoime were: Charles Joslin (16), Rebecca A. Joslin (21) and Joseph Eddington (4). i. CHARLES F. JOSLIN, b. 1838, Choctaw County, Mississippi; died after 1881 in Enola, Arkansas. ii. HENRY JOSLIN, b. 1838, Choctaw County, Mississippi; d. May 03, 1863, Little Rock, Arkansas. iii. DANIEL W. JOSLIN, b. May 16, 1839, Choctaw County, Mississippi; d. May 18, 1893, Cane Creek, Muddy Bayou Township, Faulkner County, Arkansas. iv. POLINA JOSLIN, b. 1842, Choctaw, Mississippi; d. 1880, Arkansas City, Arkansas. v. SAMUEL J. JOSLIN, b. December 1845, Choctaw County, Mississippi; d. September 22, 1918, Arkansas River, Arkansas. Married EMMELINE CARDIN. She was born in 1840; died May 19, 1925.
vi. SALINA ELIZABETH JOSLIN, b. June 30, 1848, Choctaw County, Mississippi; d. Conway County, Arkansas; m. JAMES A. PLANT, May 04, 1863, Conway County, Arkansas; b. 1847, Arkansas; d. Aft. 1863, Conway County, Arkansas. vii. JOHN J. JOSLIN was born June 16, 1850 in Choctaw County, Mississippi, and died September 19, 1919 in Yell County, Arkansas. He married (1) BARSHEBA WASSON February 17, 1868 in Reeds Creek, Sharp, Arkansas. She was born 1847 in Kentucky, and died Abt. 1889 in Lawrence County, Arkansas. He married (2) MAHALA FREEMAN September 7, 1890. He married (3) ELIZABETH LAUDIE EUBANKS. WILLIAM BENTON JOSLIN (GABERIEL, WILLIAM, JOHN, WILLIAM, THOMAS, ABRAHAM JOSSELYN, THOMAS, RALPH, JOHN, RALPH, RALPH, JOHN, JEFFREY JOCELYN, RALPH, JEFFREY, RALPH, THOMAS, THOMAS, JOHN, RALPH, HENRY, JAMES, ROBERT, WILLIAM, GEOFFREY, SIR GILBERT, EGIDIUS JOSSELIN), was born in Tennessee, and died September 1850 in Dickerson County, Tennessee. He married MARTHA MITCHELL October 19, 1843 in Dickerson County, Tennessee. She was born in Tennessee, and died in Dickerson County, Tennessee. i. HARRIET JOSLIN, b. 1837, Dickerson County, Tennessee. ii. MAHALA JOSLIN, b. 1839, Dickerson County, Tennessee. iii. E. S. JOSLIN, b. 1841, Dickerson County, Tennessee. iv. WILLIAM BENTON JOSLIN, b. January 15, 1842, Dickerson County, Tennessee; d. December 08, 1922, White Bluff, Dickerson County, Tennessee. v. TENNESSEE JOSLIN, b. 1844, Dickerson County, Tennessee. ALBERT B. JOSLIN (GABERIEL, WILLIAM, JOHN, WILLIAM, THOMAS, ABRAHAM JOSSELYN, THOMAS, RALPH, JOHN, RALPH, RALPH, JOHN, JEFFREY JOCELYN, RALPH, JEFFREY, RALPH, THOMAS, THOMAS, JOHN, RALPH, HENRY, JAMES, ROBERT, WILLIAM, GEOFFREY, SIR GILBERT, EGIDIUS JOSSELIN) was born 1818 in Dickerson County, Tennessee, and died in Tennessee. He married MARTHA November 25, 1838 in Dickerson County, Tennessee. She was born 1820 in Tennessee, and died in Tennessee. i. JOHN H. JOSLIN, b. 1840, Dickerson County, Tennessee. ii. WILLIAM B. JOSLIN, b. 1842, Dickerson County, Tennessee. iii. ELANOR JOSLIN, b. 1846, Dickerson County, Tennessee. iv. NELLY JOSLIN, b. 1850, Dickerson County, Tennessee. v. ELIZABETH JOSLIN, b. Abt. 1852, Danville, Yell County, Arkansas. vi. DANIEL JOSLIN, b. Abt. 1853, Dickerson County, Tennessee. vii. ASA JOSLIN, b. Abt. 1855, Dickerson County, Tennessee. viii. SAMUEL JOSLIN, b. Bef. 1861, Dickerson County, Tennessee. THOMAS JOSLIN (GABERIEL, WILLIAM, JOHN, WILLIAM, THOMAS, ABRAHAM JOSSELYN, THOMAS, RALPH, JOHN, RALPH, RALPH, JOHN, JEFFREY JOCELYN, RALPH, JEFFREY, RALPH, THOMAS, THOMAS, JOHN, RALPH, HENRY, JAMES, ROBERT, WILLIAM, GEOFFREY, SIR GILBERT, EGIDIUS JOSSELIN) was born in Dickerson County, Tennessee, and died in Tennessee. He married MARY HOPPER. She was born 1823 in Tennessee, and died in Tennessee. i. LOUISA C. JOSLIN, b. 1845, Tennessee; m. JOHN WESLEY GILL, 1865, Dickerson County, Tennessee; b. Abt. 1845, Tennessee. ii. SARAH J. JOSLIN, b. 1847, Dickerson County, Tennessee. iii. TIMLEY JOSLIN, b. Abt. 1850, Dickerson County, Tennessee. CHARLES F. "TONY" JOSLIN (SAMUEL B., WILLIAM J., JOHN, WILLIAM, THOMAS, ABRAHAM JOSSELYN, THOMAS, RALPH, JOHN, RALPH, RALPH, JOHN, JEFFREY JOCELYN, RALPH, JEFFREY, RALPH, THOMAS, THOMAS, JOHN, RALPH, HENRY, JAMES, ROBERT, WILLIAM, GEOFFREY, SIR GILBERT, EGIDIUS JOSSELIN), b. 1838, Choctaw County, Mississippi. Married REBECCA ANNA WILLIAMS February 27, 1870, daughter of ZACHARIAH M. WILLIAMS and MARY DURANDA PIPKIN. She was born July 1844 in Kentucky; died in Arkansas. REBECCA died during childbirth. He disappeared and was never heard from again. His brother John J. raised his children. i. SAMUEL ZACKERIAL JOSLIN, born August 1871 in Missouri; died 1955 in Little Rock, Arkansas. ii. WILLIAM HENRY JOSLIN, b. March 17, 1878, Arkansas; d. September 18, 1958, Fresno, California; m. CLARA LAVADA COLLINS; b. 1880.
iii. GEORGE WASHINGTON JOSLIN, b. February 17, 1881, Morrilton, Conway County, Arkansas; d. July 15, 1965, Conway County, Arkansas; m. ORA JANET BAUGUS; b. June 14, 1884, Wayne County, Arkansas. i. JOHN HENRY JOSLIN, born 1855, Quitman, Benton Township, Conway County, Arkansas. Married SARAH JANE CUNNINGHAM, daughter of ISAAC CUNNINGHAM and MARY ANN BAKER (Nancy Jane Baker's sister). Sarah died of TB. ii. BEZZELL GILES JOSLIN, born 1857, Quitman, Benton Township, Conway County, Arkansas. iii. SAMUEL G. JOSLIN, born January of 1860.
iv. THOMAS DAN JOSLIN, born 1862 in Arkansas; died 1920 in Arkansas. Married MARTHA LANGSTON. Found on 1860 census in Benton, Conway, Arkansas. Post office: Quitman. Living in household; Henry Joslin (22) farmer, Nancy J. Joslin (22) cook, John H. Joslin (4), Bezzell Joslin (3) and Samuel G. Joslin (6 months). Served in Civil War with a Confederate Regiment, 38th Regiment, Arkansas Infantry Company B. His rank was a Private. Served in the Prairie Grove Campaign December 7, 1862 where there were 2,568 estimated casualties. Description: Maj. Gen. Thomas C. Hindman sought to destroy Brig. Gen. Francis Herron’s and Brig. Gen. James Blunt’s divisions before they joined forces. Hindman placed his large force between the two Union divisions, turning on Herron first and routing his cavalry. As Hindman pursued the cavalry, he met Herron’s infantry which pushed him back. The Rebels then established their line of battle on a wooded high ridge northeast of Prairie Grove Church. Herron brought his artillery across the Illinois River and initiated an artillery duel. The Union troops assaulted twice and were repulsed. The Confederates counterattacked, were halted by Union canister, and then moved forward again. Just when it looked as if the Rebel attack would roll up Herron’s troops, Blunt’s men assailed the Confederate left flank. As night came, neither side had won, but Hindman retreated to Van Buren. Hindman’s retreat established Federal control of northwest Arkansas. It was a Union strategic victory. It appears that Henry was injured at the Battle of Prairie Grove or on the way to Little Rock. He died before the Battle of Little Rock. This next part comes from Nancy J. 's pension on Lewis Turner: Personally came before me, a Clerk of the Circuit Court in and for aforesaid County and State, Joshua Wasson?, a person of lawful age, who, being duly sworn, declare in relation to the aforesaid case as follows: Henry Joslin was a private in Co. "B" 35 Arkansas Infantry commanded by Col. R. G. Shaver and the above named company was commanded by myself. Said Henry Joslin was the first husband of Mrs. Nancy J. Turner and he was at the time of her marriage with L. R. Turner the widow of said Henry Joslin. Said Joslin died I think during the war 1863 and my recollection is that he died in hospital in the city of Little Rock. I know the above to be substantially true having commanded the company of Confederate Infantry of which said Joslin was a member. I further declare that I no interest in said case, and am not concerned in its prosecution. DANIEL W. JOSLIN (SAMUEL B., WILLIAM J., JOHN, WILLIAM, THOMAS, ABRAHAM JOSSELYN, THOMAS, RALPH, JOHN, RALPH, RALPH, JOHN, JEFFREY JOCELYN, RALPH, JEFFREY, RALPH, THOMAS, THOMAS, JOHN, RALPH, HENRY, JAMES, ROBERT, WILLIAM, GEOFFREY, SIR GILBERT, EGIDIUS JOSSELIN)was born May 16, 1839 in Choctaw County, Mississippi, and died February 18, 1893 in Cane Creek, Muddy Bayou Township, Faulkner County, Arkansas. He married (1) ELIZABETH CATHERINE POPE June 26, 1859 in Conway County, Arkansas. She was born 1842, and died Abt. 1863 in Cane Creek, Muddy Bayou Township, Faulkner County, Arkansas. He married (2) MALISSA LANGSTON October 06, 1864 in Jefferson, Sevier County, Tennessee. She was born September 02, 1844 in Jefferson, Sevier County, Tennessee, and died October 26, 1918 in Seivier County, Tennessee. i. MARY FRANCIS JOSLIN, b. Abt. 1865; d. Sevierville, Sevier County, Tennessee. ii. LUCY MALISSA JOSLIN, b. October 12, 1884, Sevier County, Tennessee; d. September 11, 1945, Sevier County, Tennessee; m. CHARLES HOUSTON WOLFE, September 19, 1901, Faulkner County, Arkansas; b. August 19, 1881, Tennessee; d. May 25, 1941, Boyds Creek, Sevier County, Tennessee. POLINA JOSLIN (SAMUEL B., WILLIAM J., JOHN, WILLIAM, THOMAS, ABRAHAM JOSSELYN, THOMAS, RALPH, JOHN, RALPH, RALPH, JOHN, JEFFREY JOCELYN, RALPH, JEFFREY, RALPH, THOMAS, THOMAS, JOHN, RALPH, HENRY, JAMES, ROBERT, WILLIAM, GEOFFREY, SIR GILBERT, EGIDIUS JOSSELIN) was born 1842 in Choctaw, Mississippi. She married (1) JOHN MCMURRAY SPRADLIN September 29, 1856 in White County, Arkansas. He was born Abt. 1838 in Georgia, and died 1871 in White County, Arkansas. She married (2) GOODMAN/GOODWIN between 1871-1874. 1860 census shows John and Polina Spradlin living in Benton Township, Conway County, Arkansas. Post office: Quitman. John is listed as 21 and Polina as 18. He is a farmer with real estate valued at $800 and personal property valued at $50. i. JAMES SPRADLIN, b. 1861.
ii. WILLIAM H. SPRADLIN, b. 1866; d. 1900.
iii. ROBERT GREEN SPRADLIN, was born July 20, 1867 in Conway County, Arkansas, and died 1897. He married SARAH JANE BAKER 1884 in Arkansas. iv. SURLINA ARMITTIE SPRADLIN, b. 1868.
v. RICHARD LAFAYETTE SPRADLIN, b. May 06, 1870, Searcy, White County, Arkansas; d. January 18, 1960, Pauls Valley, Garvin County, Oklahoma; m. DORA ELNORA CROOM, May 20, 1894, Strawberry, Arkansas. vi. DAVID LAYTON SPRADLIN, b. 1870.
vii. THOMAS A. GOODMAN, b. May 1874, Reeds Creek, Sharp, Arkansas; d. Bef. 1909. SAMUEL J. JOSLIN (SAMUEL B., WILLIAM J., JOHN, WILLIAM, THOMAS, ABRAHAM JOSSELYN, THOMAS, RALPH, JOHN, RALPH, RALPH, JOHN, JEFFREY JOCELYN, RALPH, JEFFREY, RALPH, THOMAS, THOMAS, JOHN, RALPH, HENRY, JAMES, ROBERT, WILLIAM, GEOFFREY, SIR GILBERT, EGIDIUS JOSSELIN) was born December 1845 in Choctaw County, Mississippi, and died September 22, 1918 in Arkansas River, Arkansas. He married EMELINE CARDIN Abt. 1865 in Conway County, Arkansas. She was born June 1839 in Alabama, and died May 19, 1925 in Atkinson Place, Faulkner County, Arkansas. i. THOMAS D. JOSLIN, b. 1861, Arkansas; d. 1920, Arkansas. ii. DANIEL J. JOSLIN, b. December 05, 1867, Enola Township, Faulkner County, Arkansas; d. May 1933, Enola Township, Faulkner County, Arkansas. iii. SAMUEL TURNER JOSLIN, b. August 20, 1879, Harve Township, Faulkner County, Arkansas; d. 1942, Enola, Arkansas. JOHN J. JOSLIN (SAMUEL B., WILLIAM J., JOHN, WILLIAM, THOMAS, ABRAHAM JOSSELYN, THOMAS, RALPH, JOHN, RALPH, RALPH, JOHN, JEFFREY JOCELYN, RALPH, JEFFREY, RALPH, THOMAS, THOMAS, JOHN, RALPH, HENRY, JAMES, ROBERT, WILLIAM, GEOFFREY, SIR GILBERT, EGIDIUS JOSSELIN) was born June 16, 1850 in Choctaw County, Mississippi, and died September 19, 1919 in Yell County, Arkansas. He married (1) BARSHEBA WASSON February 17, 1868 in Reeds Creek, Sharp, Arkansas. She was born 1847 in Kentucky, and died Abt. 1889 in Reed's Creek, Lawrence County, Arkansas. He married (2) MAHALA A. FREEMAN September 07, 1890 in Freeman, Pope County, Arkansas. She was born February 1862 in Freeman, Pope County, Arkansas, and died in Petit Jean Township, Conway County, Arkansas. He married (3) ELIZABETH LAUDIE EUBANKS April 15, 1904 in Danville, Yell County, Arkansas. She was born September 1882 in Arkansas, and died in Danville, Yell County, Arkansas. i. REBECCA JOSLIN, born 1870 in Reeds Creek, Lawrence County, Arkansas. ii. MELISSA ELMIRA JOSLIN, born 1873 in Lawrence County, Arkansas. Married W. D. WILSON June 25, 1895 in Yell County, Arkansas. iii. SURLINA JOSLIN, born 1876.
iv. PEARL LINDA JOSLIN, born 1878 in Arkansas; died 1900. Married (1) JOHN MCCLUDE November 13, 1892. Married (2) J. B. THOMPSON December 13, 1896 in Yell County, Arkansas. v. SARAH BELL JOSLIN, b. December 1879, Arkansas; m. A. W. JONES, October 07, 1894, Pope County, Arkansas; b. 1872, Carden Bottoms, Yell County, Arkansas. vi. LUNGMORE THEODORE JOSLIN, born March 5, 1881 in Reeds Creek, Lawrence County, Arkansas. Died May 8, 1954 in Poplar Bluff, Missouri. Married SARILDA ELLEN ALSIP July 31, 1904. Found on 1880 census in Scott, Sharp, Arkansas. Occupation for John: Farmer. Household Members: John (29), Bersheba (29), Elmira (7), Surlina (4), Purlina (2) and Sarah B. (6 months old). vii. WILLIAM THORNTON JOSLIN, b. October 04, 1890, Freeman Springs, Pope County, Arkansas; d. September 28, 1951, Bonneville, Logan County, Arkansas. viii. JESSE ELTON JOSLIN, b. December 19, 1895, Pope County, Arkansas; d. June 12, 1952, Bakersfield, California. ix. SARAH BERTHA JOSLIN, b. February 26, 1896, Pope County, Arkansas; d. November 15, 1968, Bakersfield, California; m. GEORGE J. SELF, July 18, 1914, Franklin County, Arkansas; b. October 19, 1892, Arkansas; d. Bakersfield, California. x. ALBERT FOREST JOSLIN, b. February 20, 1905, Danville, Yell County, Arkansas; d. February 27, 1979, Bakersfield, California; m. ETHEL MAY COTTON; b. May 13, 1905, Arkansas; d. January 25, 1995, Bakersfield, California. xiii. FAYDEEN JOSLIN, b. October 1909, Arkansas; d. January 01, 1938, Tucson, Pima County, Arizona. xiv. CHARLES FRANKLIN JONES JOSLIN. xv. BETTY LOUCYLLE JOSLIN, b. June 15, 1912, Yell County, Arkansas; d. May 24, 1987, San Francisco, California; m. OLVA GUSTAVSON; d. California. ELMIRA JOSLIN (SAMUEL B., WILLIAM J., JOHN, WILLIAM, THOMAS, ABRAHAM JOSSELYN, THOMAS, RALPH, JOHN, RALPH, RALPH, JOHN, JEFFREY JOCELYN, RALPH, JEFFREY, RALPH, THOMAS, THOMAS, JOHN, RALPH, HENRY, JAMES, ROBERT, WILLIAM, GEOFFREY, SIR GILBERT, EGIDIUS JOSSELIN) was born 1856 in White County, Arkansas, and died Aft. 1875 in Conway County, Arkansas. She married JOEL P. WILLIAMS Aft. 1874 in Conway County, Arkansas. WILLIAM BENTON JOSLIN (WILLIAM BENTON, GABERIEL, WILLIAM J., JOHN, WILLIAM, THOMAS, ABRAHAM JOSSELYN, THOMAS, RALPH, JOHN, RALPH, RALPH, JOHN, JEFFREY JOCELYN, RALPH, JEFFREY, RALPH, THOMAS, THOMAS, JOHN, RALPH, HENRY, JAMES, ROBERT, WILLIAM, GEOFFREY, SIR GILBERT, EGIDIUS JOSSELIN) was born January 15, 1842 in Dickerson County, Tennessee, and died December 08, 1922 in White Bluff, Dickerson County, Tennessee. He married MINERVA E. WHITFIELD in Dickerson County, Tennessee. She was born December 15, 1843 in Tennessee, and died July 21, 1903 in White Bluff, Dickerson County, Tennessee. i. MARTHA ANN JOSLIN, b. February 03, 1873, White Bluff, Dickerson County, Tennessee; d. July 23, 1953, Burns, Dickson County, Tennessee; m. JAMES FOUNTAIN JOHNSON, May 25, 1892, White Bluff, Dickerson County, Tennessee; b. March 16, 1867, Tennessee; d. March 14, 1943, Tennessee. SAMUEL ZACKERIAL JOSLIN (CHARLES, SAMUEL B., WILLIAM J., JOHN, WILLIAM, THOMAS, ABRAHAM JOSSELYN, THOMAS, RALPH, JOHN, RALPH, RALPH, JOHN, JEFFREY JOCELYN, RALPH, JEFFREY, RALPH, THOMAS, THOMAS, JOHN, RALPH, HENRY, JAMES, ROBERT, WILLIAM, GEOFFREY, SIR GILBERT, EGIDIUS JOSSELIN), born August 1871 in Missouri; died 1955 in Little Rock, Arkansas. Married ELIZABETH "LIZZIE" C. ALSIP in 1890 in Mountainburg, Arkansas, daughter of DAVID R. ALSIP and AMANDA EMALINE FREEMAN. She was born September 1874 in Kentucky. i. LAVINA JOSLIN, b. August 19, 1892, Newton, Crawford County, Arkansas; m. JAMES WALKER VAUGHT; b. 1883, Mountainburg, Arkansas; d. October 1953, Mountainburg, Arkansas. ii. CHARLES JOSLIN, b. July 1898, Arkansas. iii. LELA S. JOSLIN, b. August 19, 1902, Newton, Crawford County, Arkansas; d. June 1981, San Antonio, Bexar County, Texas; m. BEAVER. iv. ELLEN JOSLIN, b. December 15, 1905, Newton, Crawford County, Arkansas; d. March 14, 1921, Crawford County, Arkansas; m. H. W. EDWARDS; b. June 26, 1899, Crawford County, Arkansas; d. November 2000, California. v. ESTER JOSLIN, b. 1907.
vi. JAMES JOSLIN, b. Abt. 1912, Newton, Crawford County, Arkansas; d. March 1985, Lakeland, Polk County, Florida. Found on 1900 census living in Wilson Township, Yell County, Arkansas. Listed: Samuel Z. (28), Lizzie (25), Vena (7) and Charlie (1). Found on 1910 census living in Richland Township, Crawford County, Arkansas. Listed: Zack S. (38), Lizzie (36), Lela (18), Ellen (15), Ester (1) and Eddie (1). Found on 1920 census living in Richland Township, Crawford County, Arkansas. Listed: Samuel Z. (48), Lizzie (46), Lela (8), Ellen (5) and James (8). WILLIAM HENRY JOSLIN (CHARLES, SAMUEL B., WILLIAM J., JOHN, WILLIAM, THOMAS, ABRAHAM JOSSELYN, THOMAS, RALPH, JOHN, RALPH, RALPH, JOHN, JEFFREY JOCELYN, RALPH, JEFFREY, RALPH, THOMAS, THOMAS, JOHN, RALPH, HENRY, JAMES, ROBERT, WILLIAM, GEOFFREY, SIR GILBERT, EGIDIUS JOSSELIN), born March 17, 1879 in Yell County, Arkansas; died September 18, 1958 in Fresno, California. Married NANCY LAVADA COLLINS June 8, 1900 in Dardanelle, Arkansas. She was born October 7, 1880 in Pope County, Arkansas; died January 2, 1957 in Fresno, California. i. JOEL ARTHUR JOSLIN, b. April 05, 1902, Newton, Crawford County, Arkansas; d. November 12, 1993, Van Buren, Crawford County, Arkansas. ii. 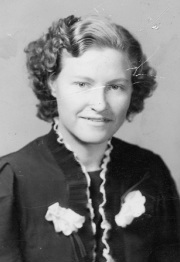 BESSIE ANN JOSLIN, born 1906; died 1996.
iii. JAMES EDWARD JOSLIN, born 1908.
iv. CORA MAE JOSLIN, born 1911; died 2002.
v. FLOY BELL JOSLIN, born 1915; died 1996.
vi. GRACE ADELEE JOSLIN, born 1919; died 1999.
vii. LENA MAE JOSLIN, born 1921; died 2011.
viii. GEORGE LEO JOSLIN, born 1923; died 1994. GEORGE WASHINGTON JOSLIN (CHARLES, SAMUEL B., WILLIAM J., JOHN, WILLIAM, THOMAS, ABRAHAM JOSSELYN, THOMAS, RALPH, JOHN, RALPH, RALPH, JOHN, JEFFREY JOCELYN, RALPH, JEFFREY, RALPH, THOMAS, THOMAS, JOHN, RALPH, HENRY, JAMES, ROBERT, WILLIAM, GEOFFREY, SIR GILBERT, EGIDIUS JOSSELIN), born February 17, 1882 in Yell County, Arkansas; died September 5, 1965 in Bauxite, Saline, Arkansas. Married ORA JANET BAUGUS October 20, 1902 in Yell County, Arkansas, daughter of ROBERT WESLEY BAUGUS and MARGARET M. HORTON. She was born June 4, 1884 in Wayne, Tennessee; died September 5, 1964in Conway, Arkansas. i. ALBERT L. JOSLIN, b. July 04, 1905, Old Portland, Conway County, Arkansas; d. April 1969, Alexander, Pulaski County, Arkansas. ii. ALVIN JOSLIN, b. 1907; d. 1931, Old Portland, Conway County, Arkansas. While hunting Alvin Joslin, about 25 years old of Old Portland was wounded when a shotgun carried by Will Berry, aged about 25, accidentally discharged near Old Portland, seven miles southeast of Plumerville, about 2:30 o'clock Thursday afternoon. Joslin died from loss of blood before a physician could reach him. He was shot through the right knee. Both men were married and lived in the same house at Old Portland. Frank Reid, county coroner, investigated the accidental shooting Thursday night. Joslin is survived by his wife and two children, a son by a former marriage and a daughter by his present wife. His parents Mr. and Mrs. George Joslin of Old Portland also survive. Funeral and burial services were conducted at 3 o'clock Friday afternoon at Hill Creek Cemetery by Rev. Henry Crowder. Baptist Paster, at Plummerville. Frank Reid was the undertaker in charge. iv. MABEL JOSLIN, b. February 15, 1912; d. December 09, 1987, Conway County, Arkansas. v. HARLIN JOSLIN, b. January 08, 1914, Old Portland, Conway County, Arkansas; d. February 06, 1991, Arkansas. vi. FAY BELLE JOSLIN, b. 1915, Old Portland, Conway County, Arkansas; d. April 22, 1942, Old Portland, Conway County, Arkansas. viii. MARIE JOSLIN, m. JOSEPH ANDERSON; b. April 22, 1916; d. November 03, 1984.
ix. MILDRED DEAN JOSLIN, b. April 21, 1926, Old Portland, Conway County, Arkansas; d. November 30, 2000, Springdale, Arkansas. THOMAS DAN JOSLIN (HENRY, SAMUEL B., WILLIAM J., JOHN, WILLIAM, THOMAS, ABRAHAM JOSSELYN, THOMAS, RALPH, JOHN, RALPH, RALPH, JOHN, JEFFREY JOCELYN, RALPH, JEFFREY, RALPH, THOMAS, THOMAS, JOHN, RALPH, HENRY, JAMES, ROBERT, WILLIAM, GEOFFREY, SIR GILBERT, EGIDIUS JOSSELIN), born 1862 in White County, Arkansas; died 1920 in Arkansas. He married (1) MARTHA"PATSY" LANGSTON, daughter of WILLIAM JASPER LANGSTON. She was born 1859in Arkansas. He married (2) SARAH ALICE SULLIVAN. She was born 1878 in Arkansas. i. MALINDA J. JOSLIN, born May 1880, Sharp County, Arkansas. ii. MARY JOSLIN, born 1883 in Arkansas; died 1903 in Arkansas. Married GEORGE DAVIS. iii. JAMES F. JOSLIN, b. 1889, Arkansas. Found on 1880 census living next door to Lewis and Nancy Turner in Scott Township, Sharp County, Arkansas. Thomas D. (18), Martha (21) and Malina J. (1month). iv. JILES JOSLIN, b. June 09, 1892, Arkansas; d. March 1967, Newport, Jackson County, Arkansas. v. JESSE COLUMBUS JOSLIN, b. July 23, 1893, Arkansas. vi. ELIGE ALEXANDER JOSLIN, b. April 23, 1906, Independence County, Arkansas; d. November 13, 1993, Meeker, Rio Blanco, Colorado. vii. DELIA J. JOSLIN, b. 1908, Independence County, Arkansas. viii. DELLA A. JOSLIN, b. 1908, Independence County, Arkansas. ROBERT GREEN SPRADLIN (POLINA JOSLIN, SAMUEL B., WILLIAM J., JOHN, WILLIAM, THOMAS, ABRAHAM JOSSELYN, THOMAS, RALPH, JOHN, RALPH, RALPH, JOHN, JEFFREY JOCELYN, RALPH, JEFFREY, RALPH, THOMAS, THOMAS, JOHN, RALPH, HENRY, JAMES, ROBERT, WILLIAM, GEOFFREY, SIR GILBERT, EGIDIUS JOSSELIN) was born July 20, 1867 in Conway County, Arkansas, and died 1897. He married SARAH JANE BAKER 1884 in Arkansas, daughter of GEORGE BAKER and MARANDA WILLIAMS. She was born May 23, 1869 in Strawberry, Lawrence County, Arkansas, and died October 11, 1943 in Truman, Poinsett County, Arkansas. i. LILLIE MAE SPRADLIN, b. 1885, Lawrence County, Arkansas; d. 1886, Lawrence County, Arkansas. ii. MARANDA JOSEPHINE SPRADLIN, b. May 19, 1886, Sharp County, Arkansas; d. 1888.
iii. OSCAR LEE SPRADLIN, b. April 10, 1888, Sharp County, Arkansas; d. December 05, 1954; m. LOVEY BENSON, August 1910, Arkansas; b. Abt. 1890, Sharp County, Arkansas. iv. JOHN ROBERT SPRADLIN, b. September 08, 1890, Sharp County, Arkansas; d. October 26, 1969, Conway, Faulkner, Arkansas. v. DORA DEAN SPRADLIN, b. August 14, 1892, Sharp County, Arkansas; d. March 13, 1928.
vi. ESTER BELLE SPRADLIN, b. January 16, 1895, Strawberry, Arkansas; d. June 18, 1976, Conway, Faulkner, Arkansas. RICHARD LAFAYETTE SPRADLIN (POLINA JOSLIN, SAMUEL B., WILLIAM J., JOHN, WILLIAM, THOMAS, ABRAHAM JOSSELYN, THOMAS, RALPH, JOHN, RALPH, RALPH, JOHN, JEFFREY JOCELYN, RALPH, JEFFREY, RALPH, THOMAS, THOMAS, JOHN, RALPH, HENRY, JAMES, ROBERT, WILLIAM, GEOFFREY, SIR GILBERT, EGIDIUS JOSSELIN) was born May 06, 1870 in Searcy, White County, Arkansas, and died January 18, 1960 in Pauls Valley, Garvin County, Oklahoma. He married DORA ELNORA CROOM May 20, 1894 in Strawberry, Arkansas. She was born August 1874 in Arkansas. i. GERVENSE E. SPRADLIN, b. February 1895.
ii. VIRGIA M. SPRADLIN, b. July 1897.
iii. BIRTNE SPRADLIN, b. November 1898. THOMAS A. GOODMAN (POLINA JOSLIN, SAMUEL B., WILLIAM J., JOHN, WILLIAM, THOMAS, ABRAHAM JOSSELYN, THOMAS, RALPH, JOHN, RALPH, RALPH, JOHN, JEFFREY JOCELYN, RALPH, JEFFREY, RALPH, THOMAS, THOMAS, JOHN, RALPH, HENRY, JAMES, ROBERT, WILLIAM, GEOFFREY, SIR GILBERT, EGIDIUS JOSSELIN) was born May 1874 in Reeds Creek, Sharp, Arkansas, and died Bef. 1909. He married MARGARET HOWARD August 07, 1892 in Reeds Creek, Sharp, Arkansas, daughter of ABRAHAM HOWARDand SUSAN M.. She was born August 23, 1873 in Lawrence County, Arkansas, and died August 29, 1956 in Tuckerman, Arkansas. * NOTE: future generations for Thomas Goodman - go to GOODMAN page. iv. CURTIS GOODMAN, b. Abt. 1900; m. LEE MORE, September 26, 1922, Jackson County, Arkansas. v. MAUDIE L. GOODMAN, b. August 02, 1904, Arkansas; d. August 1976, Marion, Grant County, Indiana; m. TOM B. BOAZ, March 12, 1922, Jackson County, Arkansas; b. 1900, Oklahoma; d. 1960, Jackson County, Arkansas. THOMAS D. JOSLIN (SAMUEL J., SAMUEL B., WILLIAM J., JOHN, WILLIAM, THOMAS, ABRAHAM JOSSELYN, THOMAS, RALPH, JOHN, RALPH, RALPH, JOHN, JEFFREY JOCELYN, RALPH, JEFFREY, RALPH, THOMAS, THOMAS, JOHN, RALPH, HENRY, JAMES, ROBERT, WILLIAM, GEOFFREY, SIR GILBERT, EGIDIUS JOSSELIN) was born 1861 in Arkansas, and died 1920 in Arkansas. He married MARTHA V.. She was born 1858 in Arkansas. i. MALINDA J. JOSLIN, b. May 30, 1880, Arkansas. ii. J. H. JOSLIN, b. March 25, 1882, Arkansas. iii. WILLIAM DANIEL JOSLIN, b. March 04, 1883, Arkansas. iv. CARRIE JOSLIN, b. June 05, 1887, Arkansas; d. November 04, 1918, Arkansas. v. DANIEL EDWARD JOSLIN, b. March 15, 1889, Arkansas; d. May 10, 1915, Arkansas. vi. THOMAS JILES JOSLIN, b. June 09, 1897, Arkansas; d. March 27, 1967, Newport, Jackson County, Arkansas. vii. PLINEY JOSLIN, b. Abt. 1897, Arkansas. viii. JESSE C. JOSLIN, b. Abt. 1903, Independence County, Arkansas; d. November 18, 1928, Arkansas; m. INEZ HIZER; b. Arkansas. i. SAMUEL L.30 JOSLIN, b. March 31, 1889, Enola Township, Faulkner County, Arkansas; d. September 02, 1949, Faulkner County, Arkansas. ii. ROBERT D. JOSLIN, b. September 22, 1890, Enola Township, Faulkner County, Arkansas; d. March 03, 1973, Little Rock, Pulaski County, Arkansas. iii. WILLIAM HENRY JOSLIN, b. November 24, 1892, Enola Township, Faulkner County, Arkansas; d. December 18, 1942, Enola, Arkansas. iv. JAMES T. JOSLIN, b. August 07, 1895, Enola Township, Faulkner County, Arkansas; d. October 01, 1981, England, Lonoke, Arkansas; m. AMY CHIVERS, May 10, 1916, Arkansas; b. July 27, 1899; d. December 1983, England, Lonoke, Arkansas. v. NANCY PEARL JOSLIN, b. September 08, 1897, Enola, Arkansas; d. October 1982, Little Rock, Pulaski County, Arkansas; m. HOMER LANE, April 07, 1916, Arkansas; b. December 13, 1895, Arkansas; d. December 1981, Jacksonville, Pulaski County, Arkansas. vi. RUTHER E. JOSLIN, b. September 1900, Enola, Arkansas; d. September 16, 1969, Arkadelphia, Clark County, Arkansas; m. VANCE SMITH, Arkansas; b. April 07, 1897, Benton, Saline County, Arkansas; d. June 23, 1979, Arkadelphia, Clark County, Arkansas. vii. MARVIN M. JOSLIN, b. December 11, 1902, Enola, Arkansas; d. August 11, 1961, Enola, Arkansas. viii. ELIJAH TOY JOSLIN, b. April 04, 1906, Enola, Arkansas; d. June 13, 1954.
ix. CLARENCE COY JOSLIN, b. January 09, 1909, Enola, Arkansas; d. December 24, 1991. SAMUEL TURNER JOSLIN (SAMUEL J., SAMUEL B., WILLIAM J., JOHN, WILLIAM, THOMAS, ABRAHAM JOSSELYN, THOMAS, RALPH, JOHN, RALPH, RALPH, JOHN, JEFFREY JOCELYN, RALPH, JEFFREY, RALPH, THOMAS, THOMAS, JOHN, RALPH, HENRY, JAMES, ROBERT, WILLIAM, GEOFFREY, SIR GILBERT, EGIDIUS JOSSELIN) was born August 20, 1879 in Harve Township, Faulkner County, Arkansas, and died 1942 in Enola, Arkansas. He married ORA. She was born 1876 in Arkansas, and died in Matthews Township, Faulkner County, Arkansas. i. GENEVA JOSLIN, b. Faulkner County, Arkansas; d. July 17, 1921, Conway, Faulkner County, Arkansas. LUNGMORE THEODORE JOSLIN (JOHN, SAMUEL B., WILLIAM J., JOHN, WILLIAM, THOMAS, ABRAHAM JOSSELYN, THOMAS, RALPH, JOHN, RALPH, RALPH, JOHN, JEFFREY JOCELYN, RALPH, JEFFREY, RALPH, THOMAS, THOMAS, JOHN, RALPH, HENRY, JAMES, ROBERT, WILLIAM, GEOFFREY, SIR GILBERT, EGIDIUS JOSSELIN) born March 5, 1881 in Reeds Creek, Lawrence County, Arkansas. Died May 8, 1954 in Poplar Bluff, Missouri. Married SARILDA ELLEN ALSIP July 31, 1904 in Van Buren, Crawford County, Arkansas, daughter of DAVID ALSIP and AMANDA FREEMAN. She was born June 03, 1886 in Arkansas, and died January 07, 1969 in Indio, Riverside County, California. i. ELVA JOSLIN, b. 1906, Crawford County, Arkansas; m. HENRY DAVIDSON, November 10, 1923, Van Buren, Crawford County, Arkansas; b. Arkansas. ii. EURAL JOSLIN, b. February 02, 1907, Van Buren, Arkansas; d. January 30, 1972, Fresno County, California. iii. ROXIE JOSLIN, b. 1911, Van Buren, Arkansas; d. California; m. JULUTH HENRY DAVIDSON; b. January 21, 1904, Monroe, Monroe County, Arkansas; d. September 22, 1967, Kansas City, Jackson County, Missouri. iv. DON JOSLIN, b. January 08, 1913, Van Buren, Arkansas; d. February 04, 1987, Dinube, Tulare County, California. v. MELVIN JOSLIN, b. October 04, 1915, Van Buren, Arkansas; d. June 26, 1984, Cabazon, Riverside County, California; m. IMOGENE WEST, Missouri; b. March 17, 1917, Missouri; d. February 04, 1991, Riverside, Riverside County, California. vi. PERCY JOSLIN, b. January 30, 1919, Van Buren, Arkansas; d. October 31, 1964, San Bernardino, California. vii. JEAN JOSLIN, b. October 12, 1920, Van Buren, Arkansas; d. May 02, 1954, Los Angeles, Los Angeles County, California. viii. LUSCILLE JOSLIN, b. March 25, 1924, Van Buren, Arkansas; d. October 20, 1960; m. DACE GLASS, March 21, 1941.
ix. DORIS JOSLIN, b. July 05, 1925, Van Buren, Arkansas; d. February 26, 1950, Kingsbury, Fresno County, California. WILLIAM THORNTON JOSLIN (JOHN, SAMUEL B., WILLIAM J., JOHN, WILLIAM, THOMAS, ABRAHAM JOSSELYN, THOMAS, RALPH, JOHN, RALPH, RALPH, JOHN, JEFFREY JOCELYN, RALPH, JEFFREY, RALPH, THOMAS, THOMAS, JOHN, RALPH, HENRY, JAMES, ROBERT, WILLIAM, GEOFFREY, SIR GILBERT, EGIDIUS JOSSELIN) was born October 04, 1890 in Freeman Springs, Pope County, Arkansas, and died September 28, 1951 in Bonneville, Logan County, Arkansas. 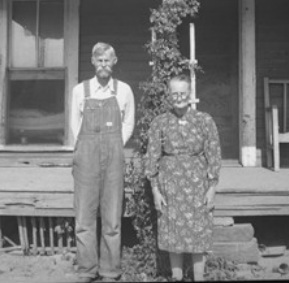 He married MINNIE BLAGG December 28, 1910 in Mulberry, Crawford County, Arkansas. She was born January 01, 1894 in Danville, Yell County, Arkansas, and died March 18, 1969 in Van Buren, Arkansas. i. PERCEY LEROY JOSLIN, b. November 26, 1911, Freeman, Franklin County, Arkansas; d. August 19, 1982, Van Buren, Crawford County, Arkansas. ii. OLEN TILLMAN JOSLIN, b. May 30, 1915, White Oak Township, Franklin County, Arkansas; d. December 21, 1982, Ft. Smith, Sebastian County, Arkansas. iii. NORMA EUNICE JOSLIN, m. ERNEST LEE ROBINSON; b. March 29, 1909, Eureka, Humbolt County, California; d. July 28, 1990, Corona, Riverside County, California. iv. LENA JUANITA JOSLIN, m. (1) WILLIAM AUGUSTUS BUSHMIAER; b. July 13, 1896, Alma, Crawford County, Arkansas; d. June 20, 1970, Van Buren, Crawford County, Arkansas; m. (2) CHARLES MCCLURE. v. JEARL DEAN JOSLIN, b. September 21, 1924, Crawford County, Arkansas; d. May 28, 1981, Lake Elsinore, Riverside County, California. vii. GEORGE WALDO JOSLIN, b. February 22, 1930, Picher, Ottawa County, Oklahoma; d. March 18, 1994, Kibler, Crawford County, Arkansas. viii. THELMA MAE JOSLIN, m. RUDOLPH WARREN; b. September 17, 1932, Alma, Crawford County, Arkansas; d. June 15, 1994, Kibler, Crawford County, Arkansas. ix. BILLY BURL JOSLIN, b. May 24, 1937, Kibler, Crawford County, Arkansas; d. August 28, 1937, Kibler, Crawford County, Arkansas. JESSE ELTON JOSLIN (JOHN, SAMUEL B., WILLIAM J., JOHN, WILLIAM, THOMAS, ABRAHAM JOSSELYN, THOMAS, RALPH, JOHN, RALPH, RALPH, JOHN, JEFFREY JOCELYN, RALPH, JEFFREY, RALPH, THOMAS, THOMAS, JOHN, RALPH, HENRY, JAMES, ROBERT, WILLIAM, GEOFFREY, SIR GILBERT, EGIDIUS JOSSELIN) was born December 19, 1895 in Pope County, Arkansas, and died June 12, 1952 in Bakersfield, California. He married ETHEL IRENE WILSON in Yell County, Arkansas. She was born January 21, 1903 in Yell County, Arkansas, and died October 31, 1990 in Bakersfield, California. i. HERBERT WILLIAMS, m. GLADYS SPRADLIN. JOEL ARTHUR JOSLIN (WILLIAM, CHARLES, SAMUEL B., WILLIAM J., JOHN, WILLIAM, THOMAS, ABRAHAM JOSSELYN, THOMAS, RALPH, JOHN, RALPH, RALPH, JOHN, JEFFREY JOCELYN, RALPH, JEFFREY, RALPH, THOMAS, THOMAS, JOHN, RALPH, HENRY, JAMES, ROBERT, WILLIAM, GEOFFREY, SIR GILBERT, EGIDIUS JOSSELIN), born April 5, 1902 in Alma, Crawford, Arkansas; died November 10, 1993 in Van Buren, Crawford, Arkansas. He married (1) CLARA FLORA FLOSSIE JONES. She was born November 08, 1899 in Arkansas, and died May 18, 1984 in Van Buren, Crawford County, Arkansas. He married (2) HAZEL MARIE SEAVEY July 28, 1922 in Crawford County, Arkansas. She was born February 25, 1904 in Mountainburg, Arkansas, and died July 01, 1929 in Van Buren, Crawford County, Arkansas. i. WILLIAM JOSLIN, b. Crawford County, Arkansas; d. Crawford County, Arkansas. ii. FRANK STEWART JOSLIN, b. February 19, 1933, Catcher, Crawford County, Arkansas; d. December 28, 1995, Van Buren, Crawford County, Arkansas. v. RACHEL JOSLIN, m. WARNER. viii. REBA JEAN JOSLIN, m. COHEN. ix. JOEL ARTHUR JOSLIN, b. July 01, 1929, Crawford County, Arkansas; d. August 16, 1961, Fresno, California. GRACE ADELEE JOSLIN (WILLIAM, CHARLES, SAMUEL B., WILLIAM J., JOHN, WILLIAM, THOMAS, ABRAHAM JOSSELYN, THOMAS, RALPH, JOHN, RALPH, RALPH, JOHN, JEFFREY JOCELYN, RALPH, JEFFREY, RALPH, THOMAS, THOMAS, JOHN, RALPH, HENRY, JAMES, ROBERT, WILLIAM, GEOFFREY, SIR GILBERT, EGIDIUS JOSSELIN), born February 17, 1919 in Van Buren, Crawford, Arkansas; died September 9, 1999 in Fresno, California. 1919; died 1999. Married EDDIE RIGENSBERG June 19, 1937 in Crawford, Arkansas. i. DARRELL RIGENSBERG, born March 18, 1944; died February 12, 2003 in Fresno, California. LENA MAE JOSLIN (WILLIAM, CHARLES, SAMUEL B., WILLIAM J., JOHN, WILLIAM, THOMAS, ABRAHAM JOSSELYN, THOMAS, RALPH, JOHN, RALPH, RALPH, JOHN, JEFFREY JOCELYN, RALPH, JEFFREY, RALPH, THOMAS, THOMAS, JOHN, RALPH, HENRY, JAMES, ROBERT, WILLIAM, GEOFFREY, SIR GILBERT, EGIDIUS JOSSELIN), born April 12, 1921 in Van Buren, Crawford, Arkansas; died March 30, 2011 in Fresno, California. Married TRUMAN EARL AKINS September 19, 1936 in Van Buren, Crawford, Arkansas, son of JOHN KYLE AKINS and CORDIE DELONA CULVER. He was born January 2, 1918 in Sulphur Springs, Texas; died March 29, 2012 in Fresno, California. i. TRUMAN JUNIOR AKINS, born October 31, 1939 in Van Buren, Crawford, Arkansas; died November 8, 1939 in Van Buren, Crawford, Arkansas. ALBERT L. JOSLIN (GEORGE, CHARLES, SAMUEL B., WILLIAM J., JOHN, WILLIAM, THOMAS, ABRAHAM JOSSELYN, THOMAS, RALPH, JOHN, RALPH, RALPH, JOHN, JEFFREY JOCELYN, RALPH, JEFFREY, RALPH, THOMAS, THOMAS, JOHN, RALPH, HENRY, JAMES, ROBERT, WILLIAM, GEOFFREY, SIR GILBERT, EGIDIUS JOSSELIN) was born July 04, 1905 in Old Portland, Conway County, Arkansas, and died April 1969 in Alexander, Pulaski County, Arkansas. He married FLORA CHRISTINE. She was born January 11, 1909 in Alexander, Pulaski Couty, Arkansas, and died June 10, 1999 in Alexander, Arkansas. i. MARJORIE JOSLIN, m. BROWN. ii. LILLIE JOSLIN, m. PAVEY. iii. MARY JOSLIN, m. ABBOT. v. GLADYS JOSLIN, m. WARNER. vi. PAT JOSLIN, m. WHITLOW. vii. DOVIE JOSLIN, m. CHILDRESS. MABEL JOSLIN (GEORGE, CHARLES, SAMUEL B., WILLIAM J., JOHN, WILLIAM, THOMAS, ABRAHAM JOSSELYN, THOMAS, RALPH, JOHN, RALPH, RALPH, JOHN, JEFFREY JOCELYN, RALPH, JEFFREY, RALPH, THOMAS, THOMAS, JOHN, RALPH, HENRY, JAMES, ROBERT, WILLIAM, GEOFFREY, SIR GILBERT, EGIDIUS JOSSELIN) was born February 15, 1912, and died December 09, 1987 in Conway County, Arkansas. She married WALTER REYNOLDS. He was born November 16, 1907, and died October 09, 1953.
i. MELBA REYNOLDS, m. (1) DENNIS MOORE; m. (2) PAT EOFF. HARLIN JOSLIN (GEORGE, CHARLES, SAMUEL B., WILLIAM J., JOHN, WILLIAM, THOMAS, ABRAHAM JOSSELYN, THOMAS, RALPH, JOHN, RALPH, RALPH, JOHN, JEFFREY JOCELYN, RALPH, JEFFREY, RALPH, THOMAS, THOMAS, JOHN, RALPH, HENRY, JAMES, ROBERT, WILLIAM, GEOFFREY, SIR GILBERT, EGIDIUS JOSSELIN) was born January 08, 1914 in Old Portland, Conway County, Arkansas, and died February 06, 1991 in Arkansas. He married GEORGIE. FAY BELLE JOSLIN (GEORGE, CHARLES, SAMUEL B., WILLIAM J., JOHN, WILLIAM, THOMAS, ABRAHAM JOSSELYN, THOMAS, RALPH, JOHN, RALPH, RALPH, JOHN, JEFFREY JOCELYN, RALPH, JEFFREY, RALPH, THOMAS, THOMAS, JOHN, RALPH, HENRY, JAMES, ROBERT, WILLIAM, GEOFFREY, SIR GILBERT, EGIDIUS JOSSELIN) was born 1915 in Old Portland, Conway County, Arkansas, and died April 22, 1942 in Old Portland, Conway County, Arkansas. She married (1) THOMAS EVERETTE HAIRSTON October 1931 in Springfield, Arkansas, son of FRED HAIRSTON and MYRTLE MCCLAREN. He was born December 20, 1914 in Conway, Faulkner County, Arkansas, and died July 08, 1987 in Sikeston, Missouri. She married (2) GLENN SUBLETT BAKER 1940, son of BENJAMIN BAKER and LUCY SUBLETT. He was born January 03, 1913 in Enola Township, Faulkner County, Arkansas, and died February 24, 1966 in Enola Township, Faulkner County, Arkansas. FAY BELLE JOSLIN: Divorced Glen Baker in 1939. Committed suicide April 22, 1942.
i. THOMAS BURTON HAIRSTON, b. December 23, 1934, Conway, Faulkner County, Arkansas; d. February 01, 1999, Sikeston, Missouri. ii. PAT GLINDELL HAIRSTON, b. August 03, 1936, Conway, Faulkner County, Arkansas; d. November 11, 1936. Drowned in a metal bathtub when he was three months, his mother was giving him and his twin brother Paul a bath. iii. PAUL LINDELL HAIRSTON, b. August 03, 1936, Conway, Faulkner County, Arkansas; d. February 09, 2002, Bakersfield, California. MILDRED DEAN JOSLIN (GEORGE, CHARLES, SAMUEL B., WILLIAM J., JOHN, WILLIAM, THOMAS, ABRAHAM JOSSELYN, THOMAS, RALPH, JOHN, RALPH, RALPH, JOHN, JEFFREY JOCELYN, RALPH, JEFFREY, RALPH, THOMAS, THOMAS, JOHN, RALPH, HENRY, JAMES, ROBERT, WILLIAM, GEOFFREY, SIR GILBERT, EGIDIUS JOSSELIN) was born April 21, 1926 in Old Portland, Conway County, Arkansas, and died November 30, 2000 in Springdale, Arkansas. She married (1) GEORGE WASHINGTON FRAZIER. He died 1996. She married (2) JOSEPH SELBY ANDERSON. He was born April 22, 1916, and died November 03, 1984. JILES JOSLIN (THOMAS, HENRY, SAMUEL B., WILLIAM J., JOHN, WILLIAM, THOMAS, ABRAHAM JOSSELYN, THOMAS, RALPH, JOHN, RALPH, RALPH, JOHN, JEFFREY JOCELYN, RALPH, JEFFREY, RALPH, THOMAS, THOMAS, JOHN, RALPH, HENRY, JAMES, ROBERT, WILLIAM, GEOFFREY, SIR GILBERT, EGIDIUS JOSSELIN) was born June 09, 1892 in Arkansas, and died March 1967 in Newport, Jackson County, Arkansas. He married ETHEL BARRETT July 07, 1920 in Jackson County, Arkansas. i. J. E. JOSLIN, born in Arkansas. iii. RICHARD T. JOSLIN, born in Arkansas. iv. JAMES A. JOSLIN, born in Arkansas. v. LEE B. JOSLIN, born in Arkansas. vi. BILLY JOE JOSLIN, b. July 23, 1935, Newport, Jackson County, Arkansas; d. August 11, 2009, Larue, Henderson County, Texas; m. MARY. ELIGE ALEXANDER JOSLIN (THOMAS, HENRY, SAMUEL B., WILLIAM J., JOHN, WILLIAM, THOMAS, ABRAHAM JOSSELYN, THOMAS, RALPH, JOHN, RALPH, RALPH, JOHN, JEFFREY JOCELYN, RALPH, JEFFREY, RALPH, THOMAS, THOMAS, JOHN, RALPH, HENRY, JAMES, ROBERT, WILLIAM, GEOFFREY, SIR GILBERT, EGIDIUS JOSSELIN) was born April 23, 1906 in Independence County, Arkansas, and died November 13, 1993 in Meeker, Rio Blanco, Colorado. 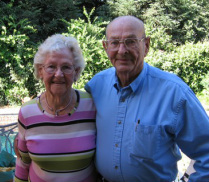 He married SYBIL CLARISSA BATES January 28, 1933 in Rio Blanco, Colorado. She was born January 13, 1914 in Ogden, Weber County, Utah, and died October 12, 2004 in Meeker, Rio Blanco, Colorado. Elige worked in construction. Died of a heart attack. ii. KAREN ALICE JOSLIN, married BILL STICK, July 06, 1969, Meeker, Rio Blanco, Colorado. JOHN ROBERT SPRADLIN (ROBERT, POLINA JOSLIN, SAMUEL B., WILLIAM J., JOHN, WILLIAM, THOMAS, ABRAHAM JOSSELYN, THOMAS, RALPH, JOHN, RALPH, RALPH, JOHN, JEFFREY JOCELYN, RALPH, JEFFREY, RALPH, THOMAS, THOMAS, JOHN, RALPH, HENRY, JAMES, ROBERT, WILLIAM, GEOFFREY, SIR GILBERT, EGIDIUS JOSSELIN) was born September 08, 1890 in Sharp County, Arkansas, and died October 26, 1969 in Conway, Faulkner, Arkansas. He married DUREDIA LEONA KEEVER December 12, 1912 in Swifton, Arkansas. She was born April 16, 1891 in Clover Bend, Jackson County, Arkansas, and died February 22, 1961 in Conway, Faulkner, Arkansas. i. WILLIS EUGENE SPRADLIN, b. December 26, 1913, Swifton, Jackson County, Arkansas; d. April 23, 1978, Faulkner, Arkansas; m. ZOLA MAE WILLIAMS, October 08, 1933, Enola, Faulkner, Arkansas; b. 1916, Conway, Faulkner, Arkansas; d. November 25, 1987, Conway, Faulkner, Arkansas. ESTER BELLE SPRADLIN (ROBERT, POLINA JOSLIN, SAMUEL B., WILLIAM J., JOHN, WILLIAM, THOMAS, ABRAHAM JOSSELYN, THOMAS, RALPH, JOHN, RALPH, RALPH, JOHN, JEFFREY JOCELYN, RALPH, JEFFREY, RALPH, THOMAS, THOMAS, JOHN, RALPH, HENRY, JAMES, ROBERT, WILLIAM, GEOFFREY, SIR GILBERT, EGIDIUS JOSSELIN) was born January 16, 1895 in Strawberry, Arkansas, and died June 18, 1976 in Conway, Faulkner, Arkansas. She married JAMES CLARK BAKER November 24, 1912 in Swifton, Arkansas. He was born February 17, 1891 in Carpenter, Whitley, Kentucky, and died December 07, 1980 in Clinton, Van Buren, Arkansas. i. OSCAR CLARK BAKER, b. July 28, 1913, Mt. Vernon, Faulkner, Arkansas; d. March 29, 1959, Phoenix, Maricopa, Arizona. ii. RICHARD FRANKLIN BAKER, b. June 25, 1916, Mt. Vernon, Faulkner, Arkansas; d. October 15, 1999, Conway, Faulkner, Arkansas. iii. CLIFTON HOWARD BAKER, b. December 10, 1924, Mt. Vernon, Faulkner, Arkansas; d. April 17, 1983, Conway, Faulkner, Arkansas. iv. OLIN HERBERT BAKER, b. October 23, 1928, Enola, Arkansas; d. June 14, 1985, Little Rock, Arkansas. DORA DEAN SPRADLIN (ROBERT, POLINA JOSLIN, SAMUEL B., WILLIAM J., JOHN, WILLIAM, THOMAS, ABRAHAM JOSSELYN, THOMAS, RALPH, JOHN, RALPH, RALPH, JOHN, JEFFREY JOCELYN, RALPH, JEFFREY, RALPH, THOMAS, THOMAS, JOHN, RALPH, HENRY, JAMES, ROBERT, WILLIAM, GEOFFREY, SIR GILBERT, EGIDIUS JOSSELIN) was born August 14, 1892 in Sharp County, Arkansas, and died March 13, 1928. She married ELI SMITH October 10, 1908 in Jackson County, Arkansas. He was born June 22, 1888 in Arkansas, and died September 18, 1970 in Poinsett County, Arkansas. i. EZRA SMITH, b. December 13, 1909, Lawrence County, Arkansas; d. December 26, 1975, Forrest City, St. Francis, Arkansas. ii. GEORGE WASHINGTON SMITH, b. May 09, 1913, Lawrence County, Arkansas; d. January 23, 1985, Texas. iii. RACHEL SMITH, b. Abt. 1914, Lawrence County, Arkansas; d. Abt. 1919, Lawrence County, Arkansas. iv. OWEN SMITH, b. 1917, Lawrence County, Arkansas; d. March 07, 1927, Lawrence County, Arkansas. v. GRACE ELLEN SMITH, b. April 28, 1919, Lawrence County, Arkansas; d. November 16, 1940, Truman, Poinsett County, Arkansas. vi. MILDRED SMITH, b. April 09, 1920, Arkansas; d. July 31, 1982, Illinois. SAMUEL L. JOSLIN(DANIEL, SAMUEL J., SAMUEL B., WILLIAM J., JOHN, WILLIAM, THOMAS, ABRAHAM JOSSELYN, THOMAS, RALPH, JOHN, RALPH, RALPH, JOHN, JEFFREY JOCELYN, RALPH, JEFFREY, RALPH, THOMAS, THOMAS, JOHN, RALPH, HENRY, JAMES, ROBERT, WILLIAM, GEOFFREY, SIR GILBERT, EGIDIUS JOSSELIN) was born March 31, 1889 in Enola Township, Faulkner County, Arkansas, and died September 02, 1949 in Faulkner County, Arkansas. He married GERTRUDE A. MATTHEWS December 04, 1913 in Faulkner County, Arkansas. She was born August 07, 1898 in Enola Township, Faulkner County, Arkansas, and died September 02, 1949 in Enola Township, Faulkner County, Arkansas. ROBERT D. JOSLIN (DANIEL, SAMUEL J., SAMUEL B., WILLIAM J., JOHN, WILLIAM, THOMAS, ABRAHAM JOSSELYN, THOMAS, RALPH, JOHN, RALPH, RALPH, JOHN, JEFFREY JOCELYN, RALPH, JEFFREY, RALPH, THOMAS, THOMAS, JOHN, RALPH, HENRY, JAMES, ROBERT, WILLIAM, GEOFFREY, SIR GILBERT, EGIDIUS JOSSELIN) was born September 22, 1890 in Enola Township, Faulkner County, Arkansas, and died March 03, 1973 in Little Rock, Pulaski County, Arkansas. He married (1) NORA in Faulkner County, Arkansas. She was born in Arkansas. He married (2) EDDIE ESTELLA MOORE September 05, 1919 in Bee Branch, Van Buren County, Arkansas. She was born August 07, 1900 in Texas, and died January 22, 1989 in Kansas City, Jackson County, Missouri. ii. JESSIE LEE JOSLIN, b. April 06, 1925, Wooster, Faulkner County, Arkansas; d. April 03, 1943, Little Rock, Pulaski County, Arkansas. iv. DOROTHY JOSLIN, m. LUTHER KINCAID. vi. ROBERT WILLIAM JOSLIN, b. October 20, 1919, Faulkner County, Arkansas; d. February 1982, Sulphur Springs, Hopkins County, Texas. WILLIAM HENRY JOSLIN(DANIEL, SAMUEL J., SAMUEL B., WILLIAM J., JOHN, WILLIAM, THOMAS, ABRAHAM JOSSELYN, THOMAS, RALPH, JOHN, RALPH, RALPH, JOHN, JEFFREY JOCELYN, RALPH, JEFFREY, RALPH, THOMAS, THOMAS, JOHN, RALPH, HENRY, JAMES, ROBERT, WILLIAM, GEOFFREY, SIR GILBERT, EGIDIUS JOSSELIN) was born November 24, 1892 in Enola Township, Faulkner County, Arkansas, and died December 18, 1942 in Enola, Arkansas. He married (1) EASTER HEFFINGTON. She was born in Arkansas, and died in Arkansas. He married (2) LILLIAN. She was born December 31, 1899 in Arkansas, and died September 02, 1926 in Enola Township, Faulkner County, Arkansas. MARVIN M. JOSLIN(DANIEL, SAMUEL J., SAMUEL B., WILLIAM J., JOHN, WILLIAM, THOMAS, ABRAHAM JOSSELYN, THOMAS, RALPH, JOHN, RALPH, RALPH, JOHN, JEFFREY JOCELYN, RALPH, JEFFREY, RALPH, THOMAS, THOMAS, JOHN, RALPH, HENRY, JAMES, ROBERT, WILLIAM, GEOFFREY, SIR GILBERT, EGIDIUS JOSSELIN) was born December 11, 1902 in Enola, Arkansas, and died August 11, 1961 in Enola, Arkansas. He married CATHERINE A. in Arkadelphia, Clark County, Arkansas. She was born May 1900 in Arkadelphia, Arkansas. DON JOSLIN (LUNGMORE, JOHN J., SAMUEL B., WILLIAM J., JOHN, WILLIAM, THOMAS, ABRAHAM JOSSELYN, THOMAS, RALPH, JOHN, RALPH, RALPH, JOHN, JEFFREY JOCELYN, RALPH, JEFFREY, RALPH, THOMAS, THOMAS, JOHN, RALPH, HENRY, JAMES, ROBERT, WILLIAM, GEOFFREY, SIR GILBERT, EGIDIUS JOSSELIN) was born January 08, 1913 in Van Buren, Arkansas, and died February 04, 1987 in Dinube, Tulare County, California. He married ELSIE MARIE TENNYSON in Arkansas. She was born September 29, 1917 in Arkansas, and died December 24, 1980 in Dinube, Tulare County, California. i. CHARLES L. JOSLIN, b. December 22, 1941, Missouri; d. April 29, 1995, Tulare County, California. PERCEY LEROY JOSLIN (WILLIAM, JOHN J., SAMUEL B., WILLIAM J., JOHN, WILLIAM, THOMAS, ABRAHAM JOSSELYN, THOMAS, RALPH, JOHN, RALPH, RALPH, JOHN, JEFFREY JOCELYN, RALPH, JEFFREY, RALPH, THOMAS, THOMAS, JOHN, RALPH, HENRY, JAMES, ROBERT, WILLIAM, GEOFFREY, SIR GILBERT, EGIDIUS JOSSELIN) was born November 26, 1911 in Freeman, Franklin County, Arkansas, and died August 19, 1982 in Van Buren, Crawford County, Arkansas. He married BONNIE LEE NUNLEY July 22, 1931 in Van Buren, Arkansas. She was born April 24, 1914 in Newton, Crawford County, Arkansas, and died December 24, 1998 in Van Buren, Crawford County, Arkansas. ii. BARBRA DEAN JOSLIN, b. April 20, 1934, Kibler, Crawford County, Arkansas; d. July 22, 1998, Norman, Cleveland County, Oklahoma. iii. PATSY RUTH JOSLIN, b. September 22, 1938, Kibler, Crawford County, Arkansas; d. October 11, 1995, Van Buren, Crawford County, Arkansas. iv. CHRISTINE JOSLIN, b. December 24, 1940, Kibler, Crawford County, Arkansas; d. April 11, 1941, Kibler, Crawford County, Arkansas. v. PERCY LEROY JOSLIN, b. February 07, 1942, Kibler, Crawford County, Arkansas; d. February 25, 1942, Kibler, Crawford County, Arkansas. vi. BURRELL JOSLIN, m. EDNA LORENE COLLETT. OLEN TILLMAN JOSLIN (WILLIAM, JOHN J., SAMUEL B., WILLIAM J., JOHN, WILLIAM, THOMAS, ABRAHAM JOSSELYN, THOMAS, RALPH, JOHN, RALPH, RALPH, JOHN, JEFFREY JOCELYN, RALPH, JEFFREY, RALPH, THOMAS, THOMAS, JOHN, RALPH, HENRY, JAMES, ROBERT, WILLIAM, GEOFFREY, SIR GILBERT, EGIDIUS JOSSELIN) was born May 30, 1915 in White Oak Township, Franklin County, Arkansas, and died December 21, 1982 in Ft. Smith, Sebastian County, Arkansas. 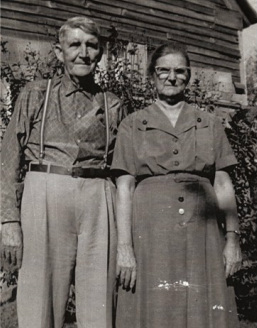 He married VIVIAN CLARA MONTGOMERY October 1935 in Kibler, Crawford County, Arkansas. She was born June 27, 1914 in Cross Lanes, Richland Township, Crawford County, Arkansas, and died October 15, 1998 in Ruby, Crawford County, Arkansas. i. BOBBY DEAN JOSLIN, b. December 24, 1936, Kibler, Crawford County, Arkansas; d. May 15, 1982, Ft. Worth, Tarrant County, Texas. iv. KENNITH OLEN JOSLIN, b. October 20, 1946, Charleston, Franklin County, Arkansas; d. June 01, 1992, Roland, Sequoyah County, Oklahoma. vi. JIMMY DALE JOSLIN, b. October 19, 1956, Ft. Smith, Arkansas; d. October 20, 1956, Ft. Smith, Arkansas. JEARL DEAN JOSLIN (WILLIAM, JOHN J., SAMUEL B., WILLIAM J., JOHN, WILLIAM, THOMAS, ABRAHAM JOSSELYN, THOMAS, RALPH, JOHN, RALPH, RALPH, JOHN, JEFFREY JOCELYN, RALPH, JEFFREY, RALPH, THOMAS, THOMAS, JOHN, RALPH, HENRY, JAMES, ROBERT, WILLIAM, GEOFFREY, SIR GILBERT, EGIDIUS JOSSELIN) was born September 21, 1924 in Crawford County, Arkansas, and died May 28, 1981 in Lake Elsinore, Riverside County, California. He married VICTORIA JUSE. WILLIAM THORNTON JOSLIN (WILLIAM, JOHN J., SAMUEL B., WILLIAM J., JOHN, WILLIAM, THOMAS, ABRAHAM JOSSELYN, THOMAS, RALPH, JOHN, RALPH, RALPH, JOHN, JEFFREY JOCELYN, RALPH, JEFFREY, RALPH, THOMAS, THOMAS, JOHN, RALPH, HENRY, JAMES, ROBERT, WILLIAM, GEOFFREY, SIR GILBERT, EGIDIUS JOSSELIN) He married MATTIE GERALDINE GIBBS. GEORGE WALDO JOSLIN (WILLIAM, JOHN J., SAMUEL B., WILLIAM J., JOHN, WILLIAM, THOMAS, ABRAHAM JOSSELYN, THOMAS, RALPH, JOHN, RALPH, RALPH, JOHN, JEFFREY JOCELYN, RALPH, JEFFREY, RALPH, THOMAS, THOMAS, JOHN, RALPH, HENRY, JAMES, ROBERT, WILLIAM, GEOFFREY, SIR GILBERT, EGIDIUS JOSSELIN) was born February 22, 1930 in Picher, Ottawa County, Oklahoma, and died March 18, 1994 in Kibler, Crawford County, Arkansas. He married (1) ERVALENE MCWRIGHT BULLARD. He married (2) JOY MORSE. HERBERT HAZEL WILLIAMS (JOEL ARTHUR WILLIAMS, ELMIRA JOSLIN, SAMUEL B., WILLIAM J., JOHN, WILLIAM, THOMAS, ABRAHAM JOSSELYN, THOMAS, RALPH, JOHN, RALPH, RALPH, JOHN, JEFFREY JOCELYN, RALPH, JEFFREY, RALPH, THOMAS, THOMAS, JOHN, RALPH, HENRY, JAMES, ROBERT, WILLIAM, GEOFFREY, SIR GILBERT, EGIDIUS JOSSELIN) was born February 12, 1906 in Naylor, Faulkner, Arkansas, and died June 06, 1976. He married GLADYS EULALAH SPRADLIN, daughter of JOHN SPRADLIN and DUREDIA KEEVER. She was born May 02, 1916 in Mt. Vernon, Faulkner, Arkansas, and died April 14, 1990 in Conway, Faulkner County, Arkansas. HARVEY LONZO JOSLIN (ROBERT, DANIEL, WILLIAM, BENJAMIN, JOHN, WILLIAM, THOMAS, ABRAHAM JOSSELYN, THOMAS, RALPH, JOHN, RALPH, RALPH, JOHN, JEFFREY JOCELYN, RALPH, JEFFREY, RALPH, THOMAS, THOMAS, JOHN, RALPH, HENRY, JAMES, ROBERT, WILLIAM, GEOFFREY, SIR GILBERT, EGIDIUS JOSSELIN) was born April 03, 1882 in Adams County, Indiana. He married GRACE BAILEY in Indiana. She was born in Indiana. ii. MILDRED JOSLIN, b. Indiana; m. CLIFFORD FEDDERLY. iii. MOZELLE JOSLIN, b. Indiana. iv. ARCHIE JOSLIN, m. LILA GREEN; b. December 18, 1904; d. December 1972, Falmouth, Cumberland County, Maine. ROBERT BRUCE JOSLIN(ROBERT, DANIEL, WILLIAM, BENJAMIN,JOHN, WILLIAM, THOMAS, ABRAHAM JOSSELYN, THOMAS, RALPH, JOHN, RALPH, RALPH, JOHN, JEFFREY JOCELYN, RALPH, JEFFREY, RALPH, THOMAS, THOMAS, JOHN, RALPH, HENRY, JAMES, ROBERT, WILLIAM, GEOFFREY, SIR GILBERT, EGIDIUS JOSSELIN) was born November 14, 1887 in Malphur County, Oregon, and died November 03, 1964 in Boise, Ada County, Indiana. He married RILLA HUTCHINSON November 03, 1912 in Council, Adams County, Indiana. She was born April 22, 1894 in Sublett, Indiana, and died September 21, 1983 in Boise, Ada County, Indiana. i. DORIS LUCILLE JOSLIN, b. May 09, 1913, Indian Valley, Adams County, Indiana; d. January 15, 1996, Boise, Indiana; m. (1) THEODORE PATRICK LAKEY, Boise, Indiana; b. September 13, 1909, Idaho Falls, Jefferson County, Indiana; d. December 11, 1955, Boise, Ada County, Indiana; m. (2) RAY PRATT, Indiana; d. July 18, 1951, Indiana; m. (3) GLEN VERN VAIL; b. May 21, 1909, Alva, Woods County, Oklahoma; d. July 22, 1972, Boise, Ada County, Indiana; m. (4) WILLIAM KOLANDER. CHARLES L. JOSLIN (CHARLES, JOHN M., LEWIS, BENJAMIN, JOHN, WILLIAM, THOMAS, ABRAHAM JOSSELYN, THOMAS, RALPH, JOHN, RALPH, RALPH, JOHN, JEFFREY JOCELYN, RALPH, JEFFREY, RALPH, THOMAS, THOMAS, JOHN, RALPH, HENRY, JAMES, ROBERT, WILLIAM, GEOFFREY, SIR GILBERT, EGIDIUS JOSSELIN) was born 1873 in Davidson County, Tennessee, and died 1929 in Davidson County, Tennessee. He married ANNA LOUISE in Tennessee. She was born 1876, and died in Tennessee. i. ANNA LOUISE JOSLIN, b. 1902, Davidson County, Tennessee; d. 1906, Davidson County, Tennessee. ii. KATIE ANDERSON JOSLIN, b. 1906, Davidson County, Tennessee; d. 1907, Davidson County, Tennessee. HUGH PEGRAM JOSLIN (LEWIS FOSTER, JOHN M., LEWIS, BENJAMIN, JOHN, WILLIAM, THOMAS, ABRAHAM JOSSELYN, THOMAS, RALPH, JOHN, RALPH, RALPH, JOHN, JEFFREY JOCELYN, RALPH, JEFFREY, RALPH, THOMAS, THOMAS, JOHN, RALPH, HENRY, JAMES, ROBERT, WILLIAM, GEOFFREY, SIR GILBERT, EGIDIUS JOSSELIN) was born May 10, 1902 in Cheatham County, Tennessee, and died September 02, 1929 in Nashville, Tennessee. He married MARY LOUISE STOFLE June 20, 1928 in Williamson County, Tennnessee. She was born January 03, 1911 in McKenzie, Carroll County, Tennessee, and died January 31, 1935 in Gleason, Weakley County, Tennessee..
FRANK STEWART JOSLIN(JOEL ARTHUR, WILLIAM , CHARLES, SAMUEL, WILLIAM, JOHN, WILLIAM, THOMAS, ABRAHAM JOSSELYN, THOMAS, RALPH, JOHN, RALPH, RALPH, JOHN, JEFFREY JOCELYN, RALPH, JEFFREY, RALPH, THOMAS, THOMAS, JOHN, RALPH, HENRY, JAMES, ROBERT, WILLIAM, GEOFFREY, SIR GILBERT, EGIDIUS JOSSELIN) was born February 19, 1933 in Catcher, Crawford County, Arkansas, and died December 28, 1995 in Van Buren, Crawford County, Arkansas. He married KATHRYN M..
i. DEBBIE JOSLIN, m. RUYLE. DAVID ARTHUR JOSLIN(JOEL ARTHUR, WILLIAM , CHARLES, SAMUEL, WILLIAM, JOHN, WILLIAM, THOMAS, ABRAHAM JOSSELYN, THOMAS, RALPH, JOHN, RALPH, RALPH, JOHN, JEFFREY JOCELYN, RALPH, JEFFREY, RALPH, THOMAS, THOMAS, JOHN, RALPH, HENRY, JAMES, ROBERT, WILLIAM, GEOFFREY, SIR GILBERT, EGIDIUS JOSSELIN) He married MARY KELLY. KATHERINE JOSLIN (JOEL ARTHUR, WILLIAM , CHARLES, SAMUEL, WILLIAM, JOHN, WILLIAM, THOMAS, ABRAHAM JOSSELYN, THOMAS, RALPH, JOHN, RALPH, RALPH, JOHN, JEFFREY JOCELYN, RALPH, JEFFREY, RALPH, THOMAS, THOMAS, JOHN, RALPH, HENRY, JAMES, ROBERT, WILLIAM, GEOFFREY, SIR GILBERT, EGIDIUS JOSSELIN) She married WOOLERY. i. ANNA WOOLERY, m. HAROLD HENSON. i. JANISE JOSLIN, m. TRUELOCK. THOMAS BURTONHAIRSTON (FAY BELLE JOSLIN, GEORGE, CHARLES, SAMUEL, WILLIAM, JOHN, WILLIAM, THOMAS, ABRAHAM JOSSELYN, THOMAS, RALPH, JOHN, RALPH, RALPH, JOHN, JEFFREY JOCELYN, RALPH, JEFFREY, RALPH, THOMAS, THOMAS, JOHN, RALPH, HENRY, JAMES, ROBERT, WILLIAM, GEOFFREY, SIR GILBERT, EGIDIUS JOSSELIN) was born December 23, 1934 in Conway, Faulkner County, Arkansas, and died February 01, 1999 in Sikeston, Missouri. He married ALICE O'DEAN MASON February 14, 1953 in Canalou, Missouri, daughter of LONNIE MASON and CECILIA DAVIS. She was born January 25, 1933 in Damascus, Arkansas, and died June 04, 1992 in Cape Girardeau, Missouri. In 1948 Paul met Deloris Carroll they were 12 Years Old and in the sixth grade at Matthew's School, he would pull her pony tails on the bus. In 1954 Paul worked for the Coke Cola Bottling Company. In 1954 Paul and Deloris lived at 4801 West Pine St. Louis Mo. In 1956 the family moved to 22nd Street St. Louis, Mo. In 1960 the family moved to a house at Northdale St. Louis, Mo. (Spanish Lake). Paul owed the Spanish Lake Service Station. In 1972 the family moved to 5201 Bellefontain Road. In 1976 Paul, Deloris and Paula moved to Bakersfield, Ca. Paul was a Gardner, owned a Car Rental, and Tow Truck Service. In 1997 Paul became a Custodian at the Fruitvale School District. Paul retired at the age of 63. Died May 9, 2002 at 8:26 P.M., buried at Greenlawn Cemetery on May 14, 2002. Deloris had a history of having migraine headaches. She had a port wine birth mark on the right side of her face just like her grandmother had. She died at home on August 1, 1995 at 9:50 P.M. of lung cancer. JO DEAN ANDERSON (MILDRED DEAN JOSLIN, GEORGE,CHARLES, SAMUEL, WILLIAM, JOHN, WILLIAM, THOMAS, ABRAHAM JOSSELYN, THOMAS, RALPH, JOHN, RALPH, RALPH, JOHN, JEFFREY JOCELYN, RALPH, JEFFREY, RALPH, THOMAS, THOMAS, JOHN, RALPH, HENRY, JAMES, ROBERT, WILLIAM, GEOFFREY, SIR GILBERT, EGIDIUS JOSSELIN) She married LARRY GOODALL. ii. ROCHELLE GOODALL, m. JERRY. GLADYS EULALAH SPRADLIN (JOHN ROBERT, ROBERT GREEN, SAMUEL, WILLIAM, JOHN, WILLIAM, THOMAS, ABRAHAM JOSSELYN, THOMAS, RALPH, JOHN, RALPH, RALPH, JOHN, JEFFREY JOCELYN, RALPH, JEFFREY, RALPH, THOMAS, THOMAS, JOHN, RALPH, HENRY, JAMES, ROBERT, WILLIAM, GEOFFREY, SIR GILBERT, EGIDIUS JOSSELIN) was born May 02, 1916 in Mt. Vernon, Faulkner, Arkansas, and died April 14, 1990 in Conway, Faulkner County, Arkansas. She married HERBERT HAZEL WILLIAMS, son of JOEL ARTHUR WILLIAMS. He was born February 12, 1906 in Naylor, Faulkner, Arkansas, and died June 06, 1976. RICHARD FRANKLIN BAKER (ESTER SPRADLIN, ROBERT, POLINA JOSLIN, SAMUEL B., WILLIAM J., JOHN, WILLIAM, THOMAS, ABRAHAM JOSSELYN, THOMAS, RALPH, JOHN, RALPH, RALPH, JOHN, JEFFREY JOCELYN, RALPH, JEFFREY, RALPH, THOMAS, THOMAS, JOHN, RALPH, HENRY, JAMES, ROBERT, WILLIAM, GEOFFREY, SIR GILBERT, EGIDIUS JOSSELIN) was born June 25, 1916 in Mt. Vernon, Faulkner, Arkansas, and died October 15, 1999 in Conway, Faulkner, Arkansas. He married TENNESSEE CAROLINA EDGMON January 17, 1944 in Conway, Faulkner, Arkansas. She was born June 06, 1919 in Greenbrier, Faulkner, Arkansas, and died September 18, 1986 in Conway, Faulkner, Arkansas. i. MARY KATHLEEN BAKER, b. January 02, 1946, Conway, Faulkner, Arkansas; d. June 18, 1974, Enola, Arkansas. ii. RICHARD LEE BAKER, b. June 17, 1947, Conway, Faulkner, Arkansas; d. June 17, 1947, Conway, Faulkner, Arkansas. JESSIE LEE JOSLIN (ROBERT, DANIEL, SAMUEL, SAMUEL B., WILLIAM J., JOHN, WILLIAM, THOMAS, ABRAHAM JOSSELYN, THOMAS, RALPH, JOHN, RALPH, RALPH, JOHN, JEFFREY JOCELYN, RALPH, JEFFREY, RALPH, THOMAS, THOMAS, JOHN, RALPH, HENRY, JAMES, ROBERT, WILLIAM, GEOFFREY, SIR GILBERT, EGIDIUS JOSSELIN) was born April 06, 1925 in Wooster, Faulkner County, Arkansas, and died April 03, 1943 in Little Rock, Pulaski County, Arkansas. He married MARY. ARLENE JOSLIN (ROBERT, DANIEL, SAMUEL, SAMUEL B., WILLIAM J., JOHN, WILLIAM, THOMAS, ABRAHAM JOSSELYN, THOMAS, RALPH, JOHN, RALPH, RALPH, JOHN, JEFFREY JOCELYN, RALPH, JEFFREY, RALPH, THOMAS, THOMAS, JOHN, RALPH, HENRY, JAMES, ROBERT, WILLIAM, GEOFFREY, SIR GILBERT, EGIDIUS JOSSELIN) He married LILY MAE BRUMLEY. ODIS LYNNJOSLIN (ROBERT, DANIEL, SAMUEL,SAMUEL B., WILLIAM J., JOHN, WILLIAM, THOMAS, ABRAHAM JOSSELYN, THOMAS, RALPH, JOHN, RALPH, RALPH, JOHN, JEFFREY JOCELYN, RALPH, JEFFREY, RALPH, THOMAS, THOMAS, JOHN, RALPH, HENRY, JAMES, ROBERT, WILLIAM, GEOFFREY, SIR GILBERT, EGIDIUS JOSSELIN) He married BOBBIE LUCEAL SHUMATE. HAROLD WAYNE JOSLIN (PERCEY, WILLIAM, JOHN, SAMUEL B., WILLIAM J., JOHN, WILLIAM, THOMAS, ABRAHAM JOSSELYN, THOMAS, RALPH, JOHN, RALPH, RALPH, JOHN, JEFFREY JOCELYN, RALPH, JEFFREY, RALPH, THOMAS, THOMAS, JOHN, RALPH, HENRY, JAMES, ROBERT, WILLIAM, GEOFFREY, SIR GILBERT, EGIDIUS JOSSELIN) He married LINDA LAMPROE BAILEY. BOBBY DEAN JOSLIN (OLEN, WILLIAM, JOHN, SAMUEL B., WILLIAM J., JOHN, WILLIAM, THOMAS, ABRAHAM JOSSELYN, THOMAS, RALPH, JOHN, RALPH, RALPH, JOHN, JEFFREY JOCELYN, RALPH, JEFFREY, RALPH, THOMAS, THOMAS, JOHN, RALPH, HENRY, JAMES, ROBERT, WILLIAM, GEOFFREY, SIR GILBERT, EGIDIUS JOSSELIN ) was born December 24, 1936 in Kibler, Crawford County, Arkansas, and died May 15, 1982 in Ft. Smith, Arkansas. * He married (1) DONNA SUE DEAN. He married (2) MILLIE MARIE HUNTER 1957 in Crawford County, Arkansas. She was born November 22, 1939 in Kibler, Crawford County, Arkansas, and died October 15, 1998 in Ruby, Crawford County, Arkansas. * place of death corrected by Krissy Lynne, granddaughter of Bobby Dean Joslin. i. RONNIE JOSLIN, b. January 18, 1964, Ft. Smith, Arkansas; d. January 18, 1964, Ft. Smith, Arkansas. v. CHARLES ROBERT JOSLIN, b. June 01, 1958, Ft. Smith, Arkansas; d. November 07, 1989, Riverside, Riverside County, California. ROLAND WAYNE JOSLIN (OLEN, WILLIAM, JOHN, SAMUEL B., WILLIAM J., JOHN, WILLIAM, THOMAS, ABRAHAM JOSSELYN, THOMAS, RALPH, JOHN, RALPH, RALPH, JOHN, JEFFREY JOCELYN, RALPH, JEFFREY, RALPH, THOMAS, THOMAS, JOHN, RALPH, HENRY, JAMES, ROBERT, WILLIAM, GEOFFREY, SIR GILBERT, EGIDIUS JOSSELIN) He married (1) MELVA VIRGINIA KING. She was born April 09, 1939 in Ft. Smith, Arkansas, and died December 1996 in Aurora, Arapahoe County, Colorado. He married (2) JOYCE MAUREEN VALLERLLAND. i. JULIA KAREN JOSLIN, m. JOE SEXTON. KENNITH OLEN JOSLIN (OLEN, WILLIAM, JOHN, SAMUEL B., WILLIAM J., JOHN, WILLIAM, THOMAS, ABRAHAM JOSSELYN, THOMAS, RALPH, JOHN, RALPH, RALPH, JOHN, JEFFREY JOCELYN, RALPH, JEFFREY, RALPH, THOMAS, THOMAS, JOHN, RALPH, HENRY, JAMES, ROBERT, WILLIAM, GEOFFREY, SIR GILBERT, EGIDIUS JOSSELIN) was born October 20, 1946 in Charleston, Franklin County, Arkansas, and died June 01, 1992 in Roland, Sequoyah County, Oklahoma. He married PAULA KAY MARTIN. NELDA GAIL JOSLIN (OLEN, WILLIAM, JOHN, SAMUEL B., WILLIAM J., JOHN, WILLIAM, THOMAS, ABRAHAM JOSSELYN, THOMAS, RALPH, JOHN, RALPH, RALPH, JOHN, JEFFREY JOCELYN, RALPH, JEFFREY, RALPH, THOMAS, THOMAS, JOHN, RALPH, HENRY, JAMES, ROBERT, WILLIAM, GEOFFREY, SIR GILBERT, EGIDIUS JOSSELIN) She married JOHN TRUMAN LACY. ROBERT ALLEN JOSLIN (WILLIAM, WILLIAM, JOHN,SAMUEL B., WILLIAM J., JOHN, WILLIAM, THOMAS, ABRAHAM JOSSELYN, THOMAS, RALPH, JOHN, RALPH, RALPH, JOHN, JEFFREY JOCELYN, RALPH, JEFFREY, RALPH, THOMAS, THOMAS, JOHN, RALPH, HENRY, JAMES, ROBERT, WILLIAM, GEOFFREY, SIR GILBERT, EGIDIUS JOSSELIN) He married SALLY JANE YOUNGBLOOD. WINFRED JOSLIN(ROBERT, ROBERT, DANIEL, WILLIAM, BENJAMIN, JOHN, WILLIAM, THOMAS, ABRAHAM JOSSELYN, THOMAS, RALPH, JOHN, RALPH, RALPH, JOHN, JEFFREY JOCELYN, RALPH, JEFFREY, RALPH, THOMAS, THOMAS, JOHN, RALPH, HENRY, JAMES, ROBERT, WILLIAM, GEOFFREY, SIR GILBERT, EGIDIUS JOSSELIN) She married (1) RAY E. PATTERSON. She married (2) RICHARD SMITH. DAVID ARTHUR JOSLIN (DAVID, JOEL, WILLIAM, CHARLES, SAMUEL B., WILLIAM, JOHN, WILLIAM, THOMAS, ABRAHAM JOSSELYN, THOMAS, RALPH, JOHN, RALPH, RALPH, JOHN, JEFFREY JOCELYN, RALPH, JEFFREY, RALPH, THOMAS, THOMAS, JOHN, RALPH, HENRY, JAMES, ROBERT, WILLIAM, GEOFFREY, SIR GILBERT, EGIDIUS JOSSELIN) He married PATRICIA LAKE. THOMAS VICTOR HAIRSTON (THOMAS, FAY BELLE JOSLIN, GEORGE, CHARLES, SAMUEL B., WILLIAM, JOHN, WILLIAM, THOMAS, ABRAHAM JOSSELYN, THOMAS, RALPH, JOHN, RALPH, RALPH, JOHN, JEFFREY JOCELYN, RALPH, JEFFREY, RALPH, THOMAS, THOMAS, JOHN, RALPH, HENRY, JAMES, ROBERT, WILLIAM, GEOFFREY, SIR GILBERT, EGIDIUS JOSSELIN). He married CARYL MARIE JOYCE, daughter of CARL THURMAN JOYCE. LINDA SUE HAIRSTON(THOMAS, FAY BELLE JOSLIN, GEORGE, CHARLES, SAMUEL B., WILLIAM, JOHN, WILLIAM, THOMAS, ABRAHAM JOSSELYN, THOMAS, RALPH, JOHN, RALPH, RALPH, JOHN, JEFFREY JOCELYN, RALPH, JEFFREY, RALPH, THOMAS, THOMAS, JOHN, RALPH, HENRY, JAMES, ROBERT, WILLIAM, GEOFFREY, SIR GILBERT, EGIDIUS JOSSELIN). She married (1) TONY CURTIS CANTRELL, son of LENARD CANTRELL and MARY. She married (2) DAVID BRUNTY PHILLIPS. TIMOTHY MARK HAIRSTON(THOMAS, FAY BELLE JOSLIN, GEORGE, CHARLES, SAMUEL B., WILLIAM, JOHN, WILLIAM, THOMAS, ABRAHAM JOSSELYN, THOMAS, RALPH, JOHN, RALPH, RALPH, JOHN, JEFFREY JOCELYN, RALPH, JEFFREY, RALPH, THOMAS, THOMAS, JOHN, RALPH, HENRY, JAMES, ROBERT, WILLIAM, GEOFFREY, SIR GILBERT, EGIDIUS JOSSELIN). He married (1) SUSAN MCCLUSKEY. He married (2) JANE GIFFORD. He married (3) ANNA MARIE HELMS. JAMES LINDELL HAIRSTON (PAUL, FAY BELLE JOSLIN, GEORGE, CHARLES, SAMUEL B., WILLIAM, JOHN, WILLIAM, THOMAS, ABRAHAM JOSSELYN, THOMAS, RALPH, JOHN, RALPH, RALPH, JOHN, JEFFREY JOCELYN, RALPH, JEFFREY, RALPH, THOMAS, THOMAS, JOHN, RALPH, HENRY, JAMES, ROBERT, WILLIAM, GEOFFREY, SIR GILBERT, EGIDIUS JOSSELIN). He married CAROLYN PATRICIA KARBACH, daughter of WESLEY KARBACH and LOIS NEITZEL. STEVEN PAUL HAIRSTON (PAUL, FAY BELLE JOSLIN, GEORGE, CHARLES, SAMUEL B., WILLIAM, JOHN, WILLIAM, THOMAS, ABRAHAM JOSSELYN, THOMAS, RALPH, JOHN, RALPH, RALPH, JOHN, JEFFREY JOCELYN, RALPH, JEFFREY, RALPH, THOMAS, THOMAS, JOHN, RALPH, HENRY, JAMES, ROBERT, WILLIAM, GEOFFREY, SIR GILBERT, EGIDIUS JOSSELIN). He married (1) PEGGY KELLY. He married (2) ROBBIE LEA MCGRAW. PAULA KAY HAIRSTON(PAUL, FAY BELLE JOSLIN, GEORGE, CHARLES, SAMUEL B., WILLIAM, JOHN, WILLIAM, THOMAS, ABRAHAM JOSSELYN, THOMAS, RALPH, JOHN, RALPH, RALPH, JOHN, JEFFREY JOCELYN, RALPH, JEFFREY, RALPH, THOMAS, THOMAS, JOHN, RALPH, HENRY, JAMES, ROBERT, WILLIAM, GEOFFREY, SIR GILBERT, EGIDIUS JOSSELIN). She married (1) EDWIN CECIL LOYD. She married (2) STEPHEN JOSEPH CORBIN, son of JACK CORBIN and MYRTLE ADAMS. PERRY JOE GOODALL (JO DEAN, MILDRED JOSLIN, GEORGE, CHARLES, SAMUEL B., WILLIAM, JOHN, WILLIAM, THOMAS, ABRAHAM JOSSELYN, THOMAS, RALPH, JOHN, RALPH, RALPH, JOHN, JEFFREY JOCELYN, RALPH, JEFFREY, RALPH, THOMAS, THOMAS, JOHN, RALPH, HENRY, JAMES, ROBERT, WILLIAM, GEOFFREY, SIR GILBERT, EGIDIUS JOSSELIN). He married GINA. BOBBY DEAN JOSLIN (BOBBY, OLEN, WILLIAM, GEORGE, CHARLES, SAMUEL B., WILLIAM, JOHN, WILLIAM, THOMAS, ABRAHAM JOSSELYN, THOMAS, RALPH, JOHN, RALPH, RALPH, JOHN, JEFFREY JOCELYN, RALPH, JEFFREY, RALPH, THOMAS, THOMAS, JOHN, RALPH, HENRY, JAMES, ROBERT, WILLIAM, GEOFFREY, SIR GILBERT, EGIDIUS JOSSELIN). He married (1) PATRICIA SHEA HILL. He married (2) ANDREA MICHELLE SHUMPERT. GARY RANDALL JOSLIN (BOBBY, OLEN, WILLIAM, GEORGE, CHARLES, SAMUEL B., WILLIAM, JOHN, WILLIAM, THOMAS, ABRAHAM JOSSELYN, THOMAS, RALPH, JOHN, RALPH, RALPH, JOHN, JEFFREY JOCELYN, RALPH, JEFFREY, RALPH, THOMAS, THOMAS, JOHN, RALPH, HENRY, JAMES, ROBERT, WILLIAM, GEOFFREY, SIR GILBERT, EGIDIUS JOSSELIN). He married TRACY ANN HAVUNEN. 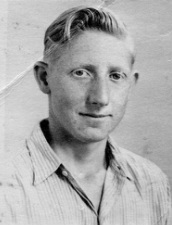 JERRY ALLEN JOSLIN (BOBBY, OLEN, WILLIAM, GEORGE, CHARLES, SAMUEL B., WILLIAM, JOHN, WILLIAM, THOMAS, ABRAHAM JOSSELYN, THOMAS, RALPH, JOHN, RALPH, RALPH, JOHN, JEFFREY JOCELYN, RALPH, JEFFREY, RALPH, THOMAS, THOMAS, JOHN, RALPH, HENRY, JAMES, ROBERT, WILLIAM, GEOFFREY, SIR GILBERT, EGIDIUS JOSSELIN). He married TRESSA ANN WILKERSON. WILLIAM TILLMAN JOSLIN (BOBBY, OLEN, WILLIAM, GEORGE, CHARLES, SAMUEL B., WILLIAM, JOHN, WILLIAM, THOMAS, ABRAHAM JOSSELYN, THOMAS, RALPH, JOHN, RALPH, RALPH, JOHN, JEFFREY JOCELYN, RALPH, JEFFREY, RALPH, THOMAS, THOMAS, JOHN, RALPH, HENRY, JAMES, ROBERT, WILLIAM, GEOFFREY, SIR GILBERT, EGIDIUS JOSSELIN). He married JANICE. JIMMY DALE JOSLIN (BOBBY, OLEN, WILLIAM, GEORGE, CHARLES, SAMUEL B., WILLIAM, JOHN, WILLIAM, THOMAS, ABRAHAM JOSSELYN, THOMAS, RALPH, JOHN, RALPH, RALPH, JOHN, JEFFREY JOCELYN, RALPH, JEFFREY, RALPH, THOMAS, THOMAS, JOHN, RALPH, HENRY, JAMES, ROBERT, WILLIAM, GEOFFREY, SIR GILBERT, EGIDIUS JOSSELIN). He married LANA. PAUL ROGER JOSLIN (ROLAND, OLEN, WILLIAM, GEORGE, CHARLES, SAMUEL B., WILLIAM, JOHN, WILLIAM, THOMAS, ABRAHAM JOSSELYN, THOMAS, RALPH, JOHN, RALPH, RALPH, JOHN, JEFFREY JOCELYN, RALPH, JEFFREY, RALPH, THOMAS, THOMAS, JOHN, RALPH, HENRY, JAMES, ROBERT, WILLIAM, GEOFFREY, SIR GILBERT, EGIDIUS JOSSELIN). He married LAURA CAROLE SCRUGHAM. JOHN BRADLEY JOSLIN (ROLAND, OLEN, WILLIAM, GEORGE, CHARLES, SAMUEL B., WILLIAM, JOHN, WILLIAM, THOMAS, ABRAHAM JOSSELYN, THOMAS, RALPH, JOHN, RALPH, RALPH, JOHN, JEFFREY JOCELYN, RALPH, JEFFREY, RALPH, THOMAS, THOMAS, JOHN, RALPH, HENRY, JAMES, ROBERT, WILLIAM, GEOFFREY, SIR GILBERT, EGIDIUS JOSSELIN). RICHARD MARCELLUS JOSLIN (ROLAND, OLEN, WILLIAM, GEORGE, CHARLES, SAMUEL B., WILLIAM, JOHN, WILLIAM, THOMAS, ABRAHAM JOSSELYN, THOMAS, RALPH, JOHN, RALPH, RALPH, JOHN, JEFFREY JOCELYN, RALPH, JEFFREY, RALPH, THOMAS, THOMAS, JOHN, RALPH, HENRY, JAMES, ROBERT, WILLIAM, GEOFFREY, SIR GILBERT, EGIDIUS JOSSELIN). He married LESLIE DARLINE BOONE. MITCHELL WADE HAIRSTON (THOMAS, THOMAS, FAY BELLE JOSLIN, GEORGE, CHARLES, SAMUEL B., WILLIAM, JOHN, WILLIAM, THOMAS, ABRAHAM JOSSELYN, THOMAS, RALPH, JOHN, RALPH, RALPH, JOHN, JEFFREY JOCELYN, RALPH, JEFFREY, RALPH, THOMAS, THOMAS, JOHN, RALPH, HENRY, JAMES, ROBERT, WILLIAM, GEOFFREY, SIR GILBERT, EGIDIUS JOSSELIN). He married AMANDA JEAN HELMS. CHAD ANTHONY CANTRELL (LINDAHAIRSTON, THOMAS, FAY BELLE JOSLIN, GEORGE, CHARLES, SAMUEL B., WILLIAM, JOHN, WILLIAM, THOMAS, ABRAHAM JOSSELYN, THOMAS, RALPH, JOHN, RALPH, RALPH, JOHN, JEFFREY JOCELYN, RALPH, JEFFREY, RALPH, THOMAS, THOMAS, JOHN, RALPH, HENRY, JAMES, ROBERT, WILLIAM, GEOFFREY, SIR GILBERT, EGIDIUS JOSSELIN). He married SUE BRANDY RADICA, daughter of VAN RADICA and CINDY. CHRISTA RENEE HAIRSTON (STEVEN, PAUL, FAY BELLE JOSLIN, GEORGE, CHARLES, SAMUEL B., WILLIAM, JOHN, WILLIAM, THOMAS, ABRAHAM JOSSELYN, THOMAS, RALPH, JOHN, RALPH, RALPH, JOHN, JEFFREY JOCELYN, RALPH, JEFFREY, RALPH, THOMAS, THOMAS, JOHN, RALPH, HENRY, JAMES, ROBERT, WILLIAM, GEOFFREY, SIR GILBERT, EGIDIUS JOSSELIN). She married SHAUN MICHAEL NENGEL, son of JACKIE NENGEL and MARILYN SCHRAGE.